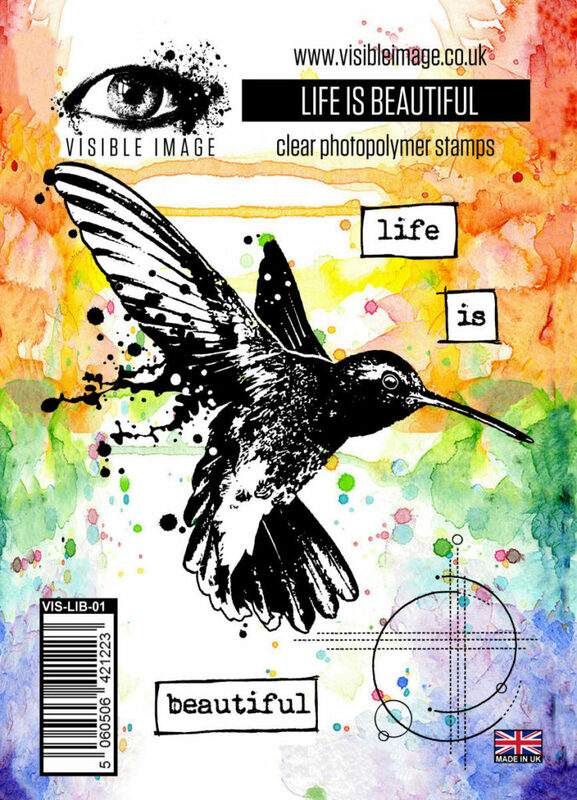 When I first set eyes on this brilliant ‘See Everything’ stamp from Visible Image, I immediately saw references to the film ‘The Matrix’. Do you know that on 31st March this year it will be 20 years since that film was released? It really doesn’t feel like 20 years…. until you watch it again and notice how big the PC monitors were back in 1999 and how much phone technology has changed in the last 20 years. It’s still a cracking film though. Anyway, how did I make a link to the matrix? Well, those little circles reminded me of the lines of code that descend and sparkle on the computer screens in the film. The lines radiating out from the eye in the centre reminded me of a sort of a scanner, and scanning for Morpheus, Neo, Trinity and other humans was what Agent Smith was doing in the film. 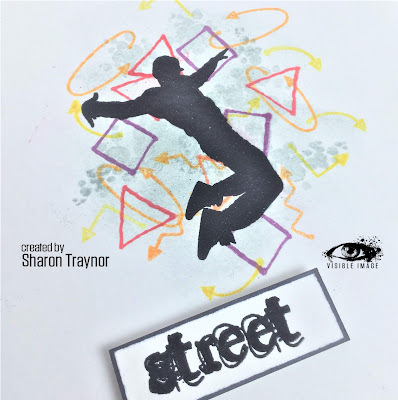 The two figures at the bottom of the stamp reminded me that the human race (those that were awake from the matrix) had descended into the earth and were living in Zion. And finally there is the sentiment; only those that were awake from the matrix could see what others didn’t. 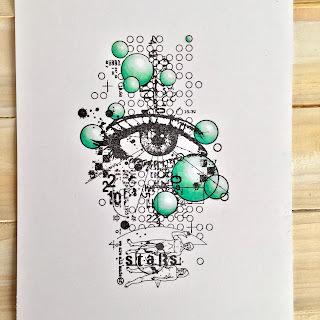 So, I had to make a card in greens, black and smokey grey with a touch of sparkle as homage, didn’t I? 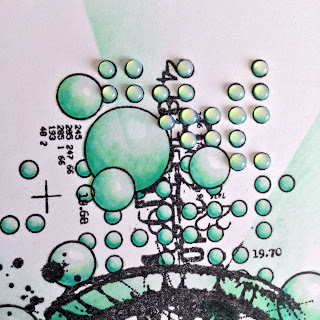 First the larger circles were coloured with some green Promarkers. Only 3 colours were used as shading and an uncoloured white spot was left on each circle as a highlight. 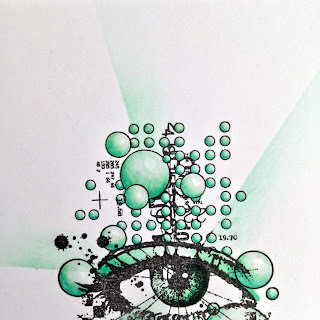 Next I added some cracked pistachio distress ink by softly blending from a piece of paper aligned to some of the lines radiating out from the eye, to try to imitate the laser type scanners that you often see in movies. After that I added glossy accents to each individual tiny circle (but not to the larger ones) and left it to dry overnight. 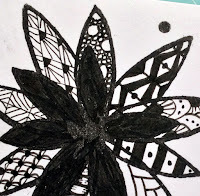 On the next day I wanted to add the sparkle and some darkness to the piece. 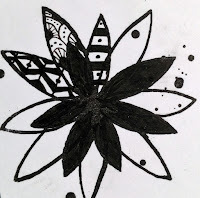 So I used a charcoal pencil and drew some rough lines over the image and smudged them with my finger. I thought this sort of represented the movement of the lines code falling down the screen. 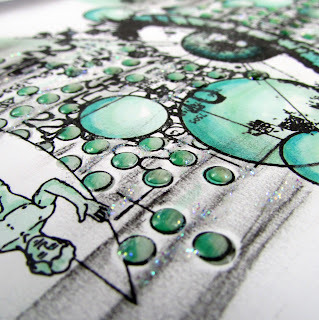 Then some glamour dust was added to give that representation of sparkle, and hickory smoke distress ink was blended over the two sides of the piece. 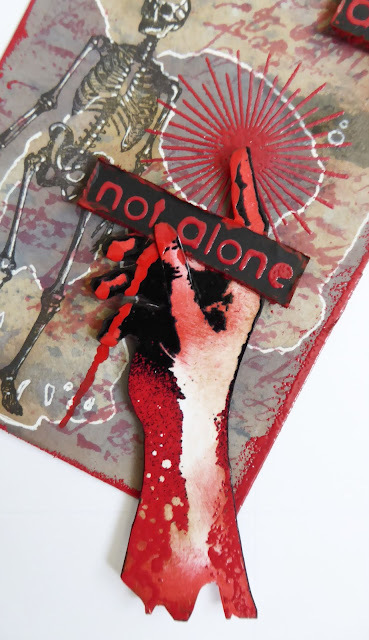 The sentiment was stamped onto a scrap of card coloured with a matching promarker and three of the corners of the sentiment piece were rounded before it was backed with fun foam. 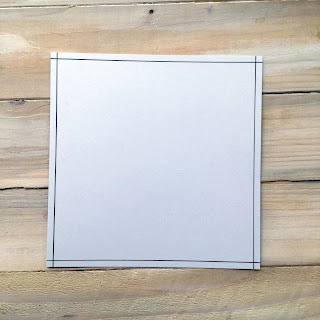 I mounted the whole thing onto a card blank and added two slim pieces of black card on the two outside edges. 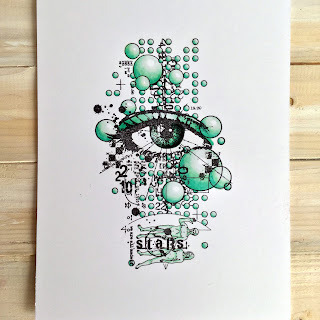 Memento Tuxedo Black ink, Promarkers, (Pastel green, mint green and green. 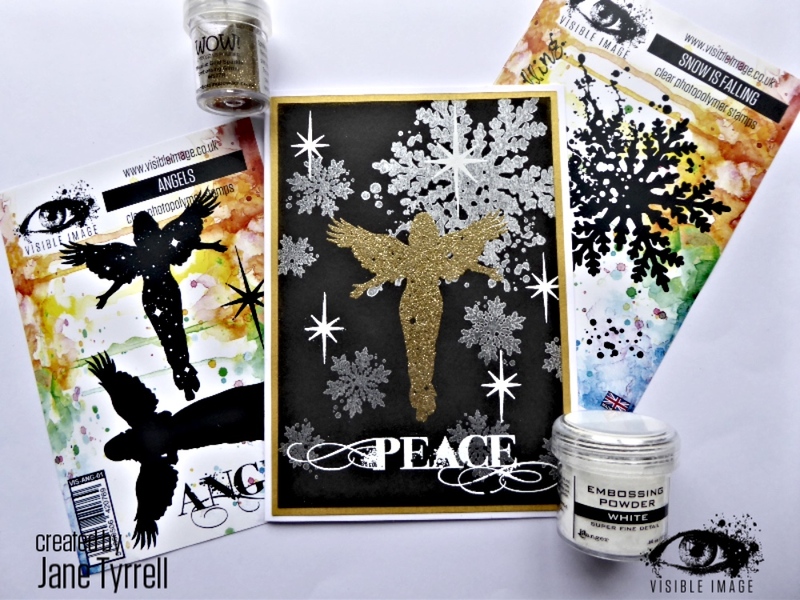 Plus a bit of tea green and holly in the eye), cracked pistachio and hickory smoke Distress Ink, charcoal pencil, Glossy Accents, Glamour Dust, White and Black card, fun foam. 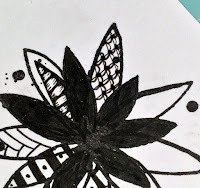 Thank you so much for taking time to visit our blog today. 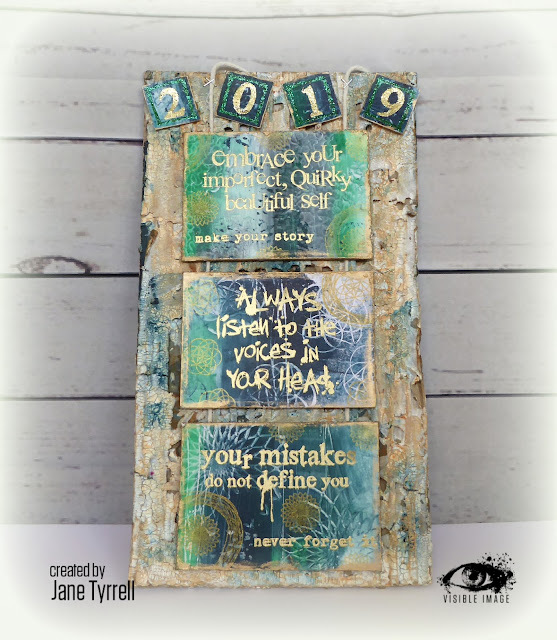 I have been busy designing with the fab new mixed media sets, and this week I’ve created something really different for me! 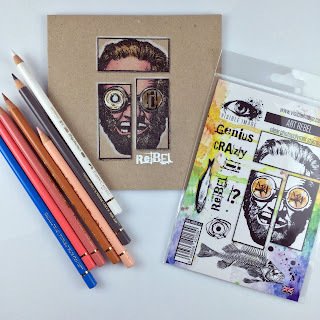 I used the brilliant Art Rebel set, and wow it is just awesome!! 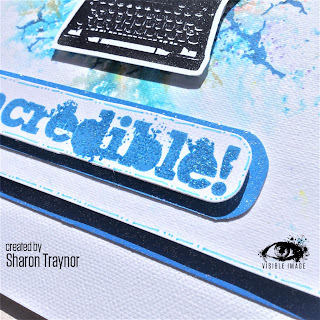 Just its name inspired me to get out my acrylic paints, and using that awesome big fish pull some Gelli plate prints. I decided to make an art panel. 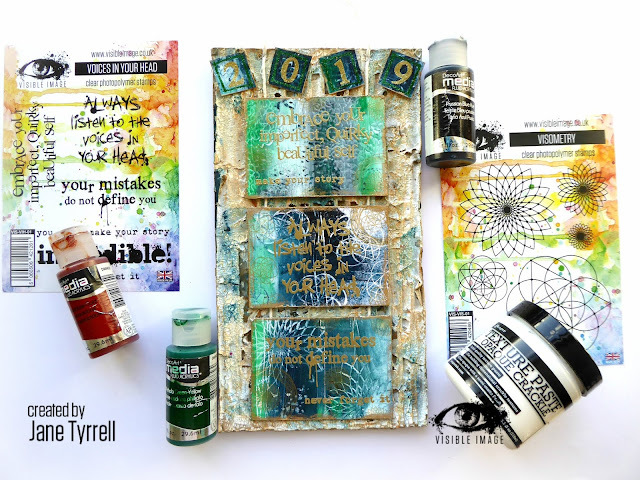 I got out my large Gelli plate and I pulled lots…. look out for them in the coming months. 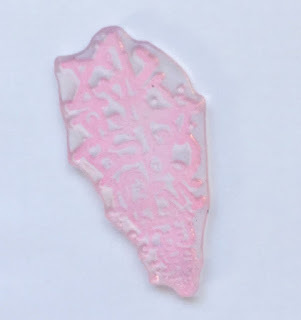 Here is the one I used for my project coming off the plate… it’s always exciting to see what has happened. 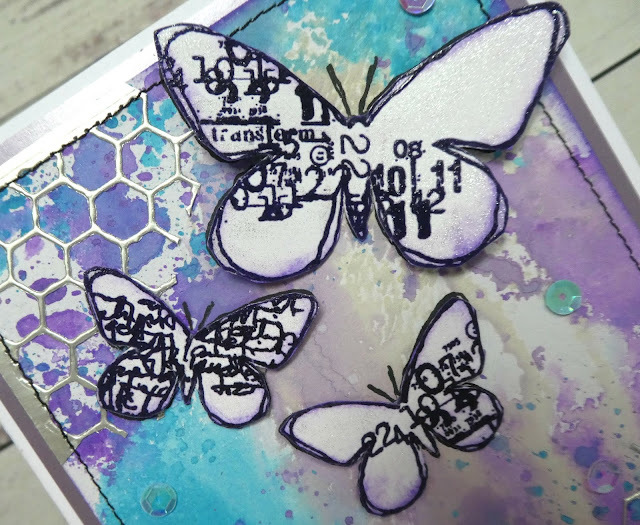 I added some more stamping using the other stamps from the set. I then trimmed it down. This is my final background showing a few close ups.. 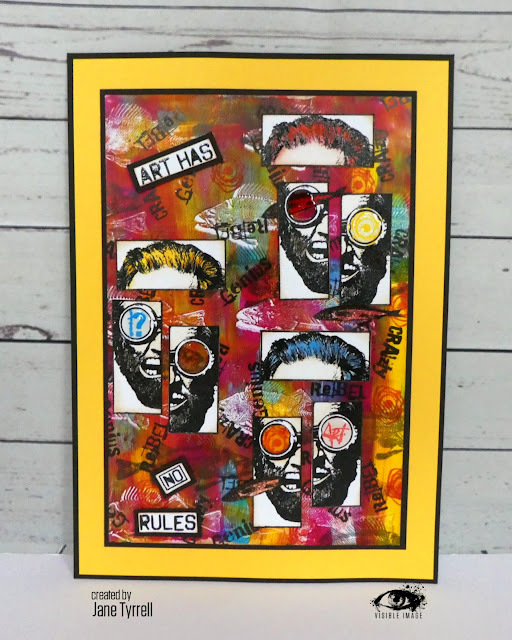 The colours made me think of Andy Warhol, so I decided to something whacky with the Art Rebel! 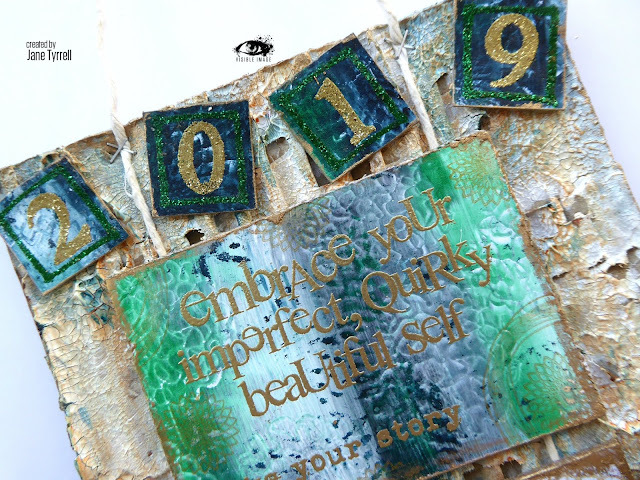 I also stamped and fussy cut out some of the small fish, as I had whacky plans for those too. 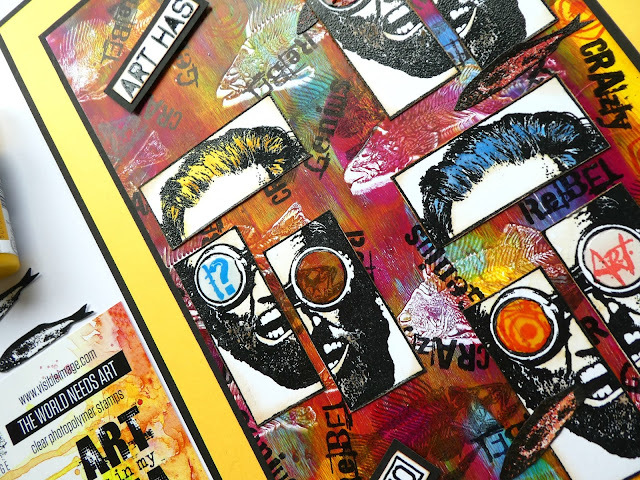 I then had such fun putting together my art panel. 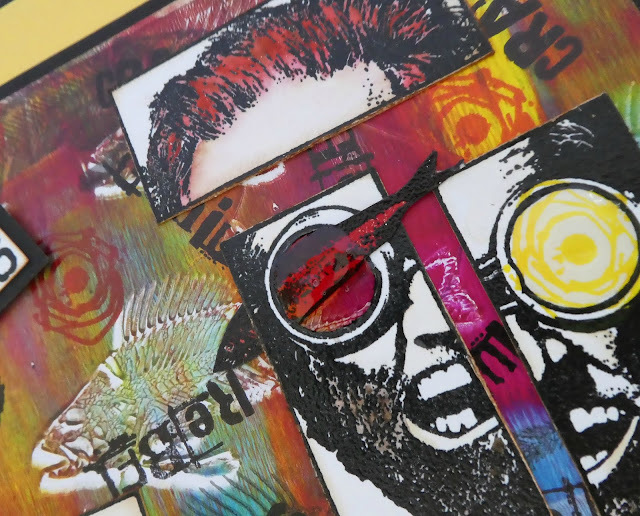 Here it is..
I’ll talk you through with some close ups, as there are lots of little details which get missed in the single photo.I cut out one lens from each pair of goggles. 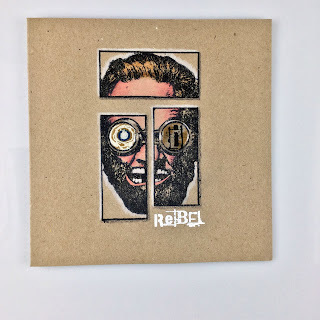 For the red rebel I put the fish through, and then filled the hole with Glossy Accents to remake the “lens”.. 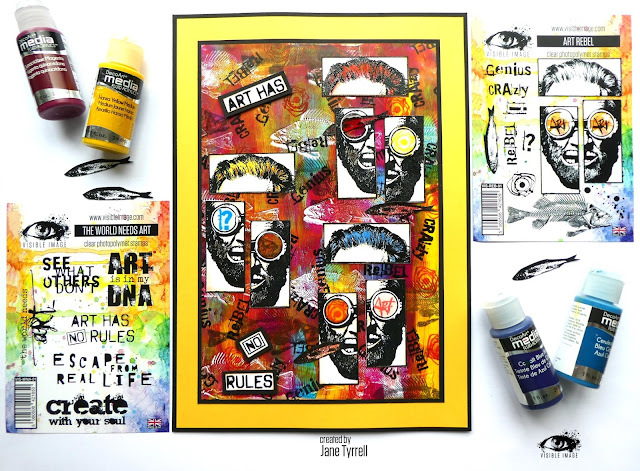 The yellow haired rebel has one of the fish on the Gelli print inside..
and the blue one has the fish eye stamp and a fish in his mouth..
You can have such fun with this set and, as I said I have lots of fun prints to play with too! 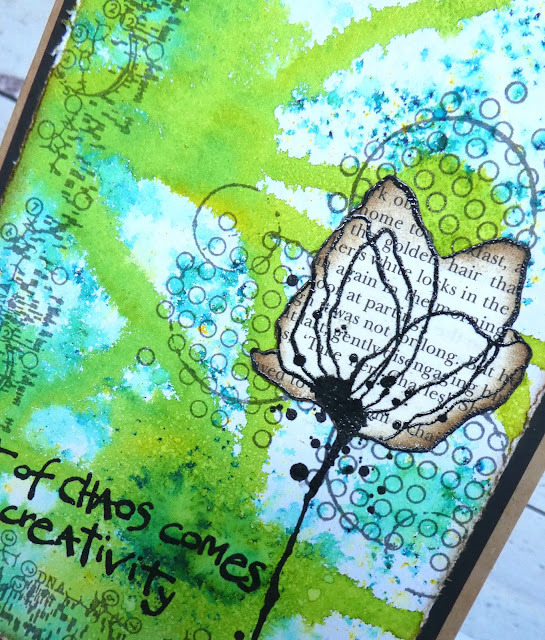 We will be back a little later with a stunning mixed media project from Lisa, featuring some of our new inky flower stamps. 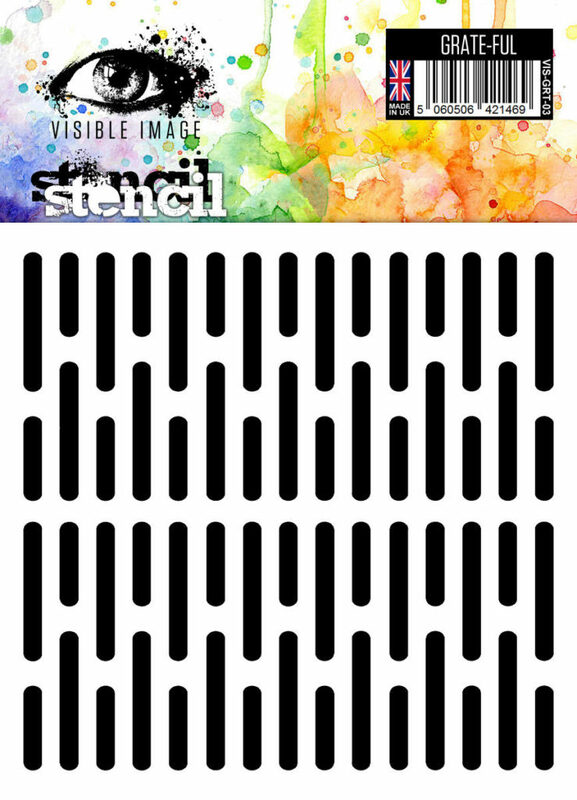 Visible Image have been super busy lately (as always!) 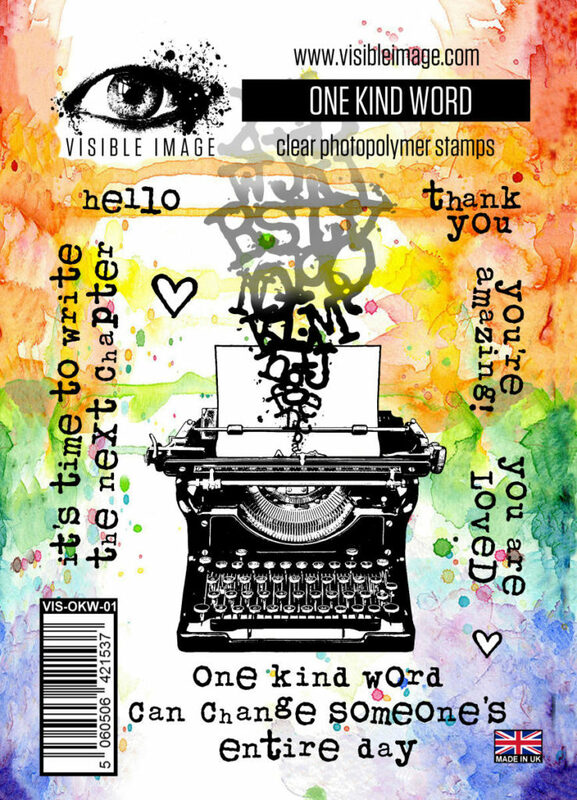 after producing some truly amazing stamps and stencils for February’s release. 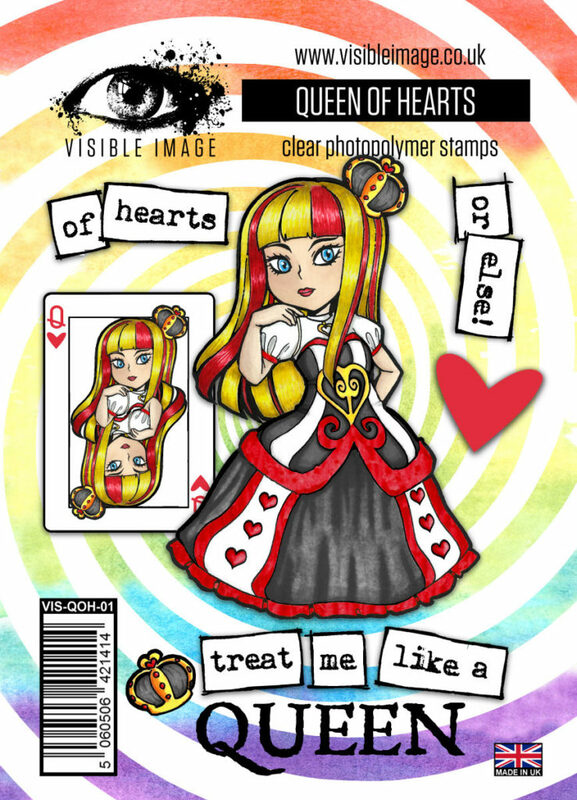 The Alice in Wonderland stamps went down a storm and they have been followed by the gorgeous Wizard of Oz stamps and dies… yes, that’s right… dies!! Having been a Wizard of Oz fan since I was very small I was so excited to get my inky mitts on these!! 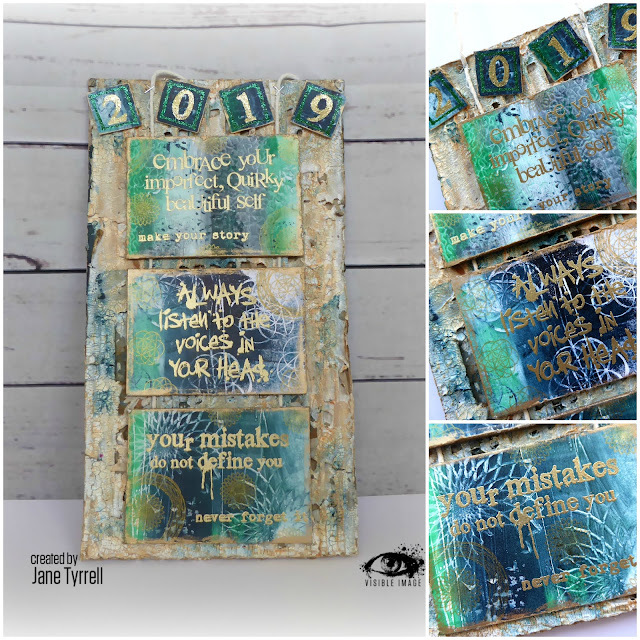 The dark background uses Distress Oxide ink pads in Black Soot, Hickory Smoke and Chipped Sapphire along with a splatter of Brushed Pewter Distress Spray Stain. The moon is Mustard Seed oxide and the swirly Time Tunnel stencil has been made using Carved Pumpkin. The scary monkey (look at its eyes… just haunting!) 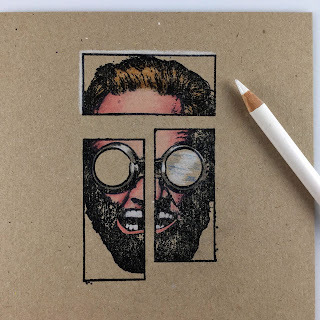 has been heat embossed in Wow’s Super Fine Ebony embossing powder onto watercolour card before using a mixture of watercolours, Distress Spray Stains and Derwent Inktense pencils (and a little gold gel pen) to colour him in. 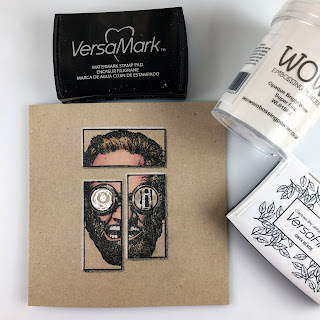 The little flying monkeys have been stamped using a Versafine Onyx Black ink pad and then heat embossed using the same Wow powder used on the large monkey. 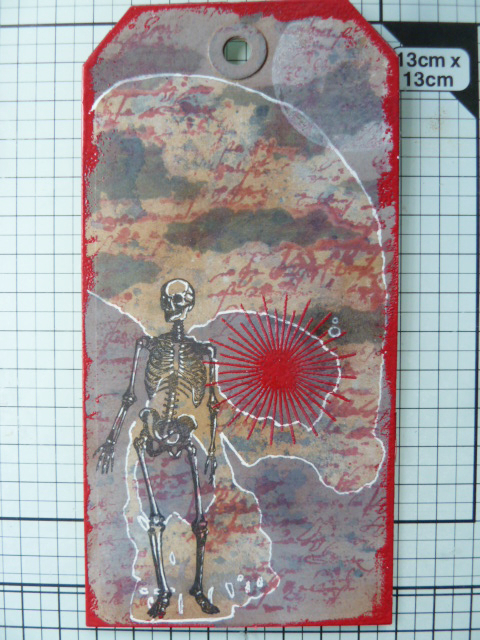 For the sentiment, I made (another) grungy background using my much over-used oxides, and die-cut two little clouds. 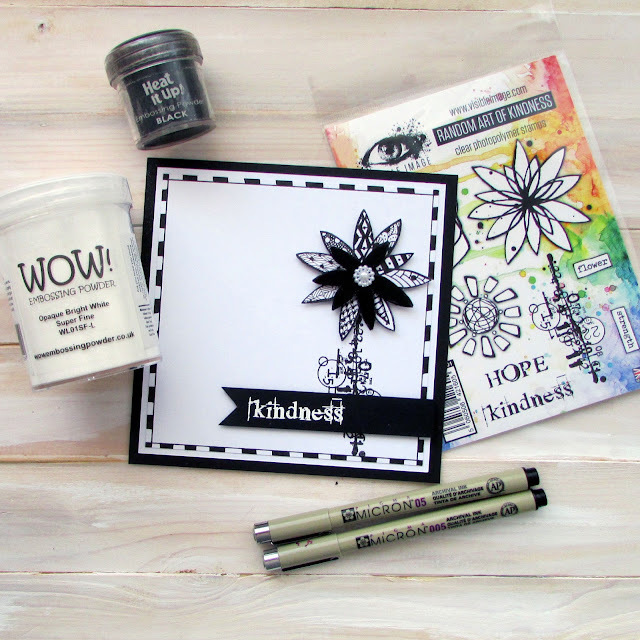 Having edged them with black, I stamped the sentiment on using Wow’s Opaque bright White embossing powder and attached using foam tape. For this wee fella, I’ve heat embossed him using Wow’s Metallic Copper powder and coloured him using the same materials as before just in different colours. I’ve upped the menacing look by giving him red eyes and they do look very demonic! 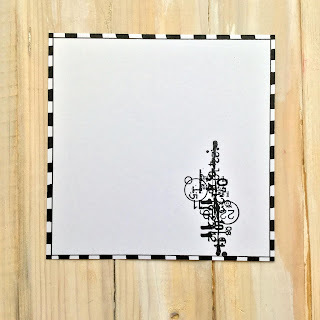 The background is my ever go-to favourite Strobe stencil over which I’ve lightly stamped the smaller monkey stamps using Archival’s Watering Can ink pad just to give a hint at the monkeys. Having fussy cut the monkey out (and I didn’t have the dies at the time of making so excuse some of my dodgy areas!) I’ve placed him on the wall I’ve stamped using the brick stamp from the set. 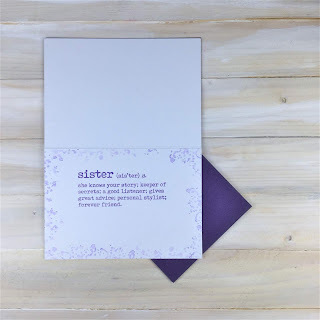 The bright purple sentiment has been heat embossed using Wow’s Metalline Violet embossing powder, each word trimmed and then added using tiny foam tape. Some stained muslin and ribbon have been threaded through the punched hole to finish. And there you go! 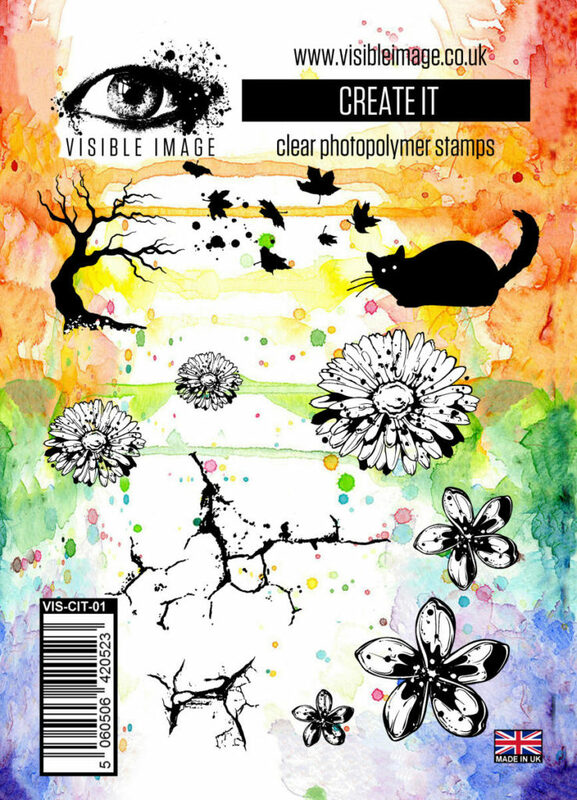 Wonderful stamps (and dies) which, rightly so, have been super popular. 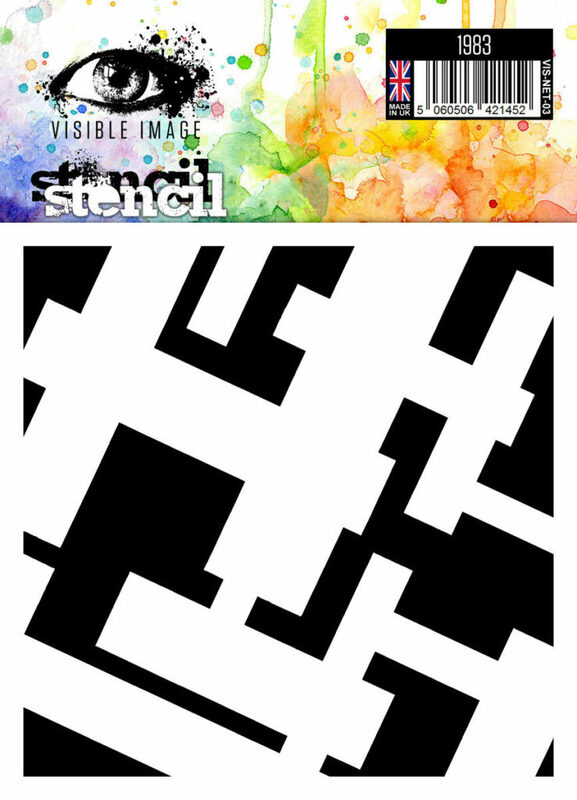 Don’t forget to follow Visible Image on Instagram! 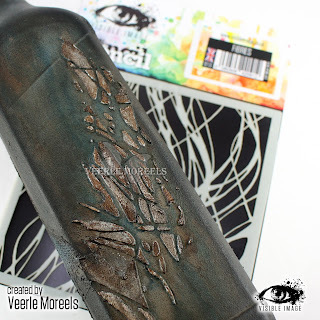 And use the hashtag #visibleimage to find awesome makes from all over the world! Thanks for reading … until next time. 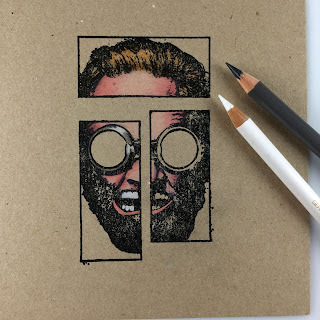 Facebook group show us your makes, join in with the banter, and enter our giveaways and challenges! Facebook PAGE …like and follow us to be first to hear our news! We will be back with more fabulous inspiration a little later! 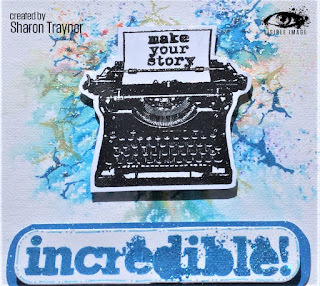 It’s Fabulous Friday, and I’m here to share something I’ve created using one of the awesome new Stamp sets from Visible Image. Have you seen them ?? 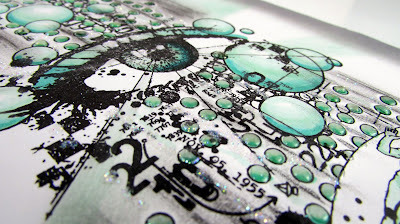 My background was achieved using 3 colours of Brusho: 2 blues and Lemon, spritzed with water, and left to dry. 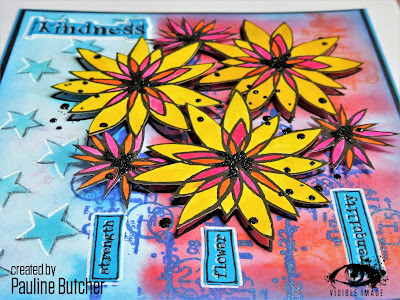 I stamped all the fish using red Versafine Clair ink, then used a sparkle water brush, to give them a life like appearance. 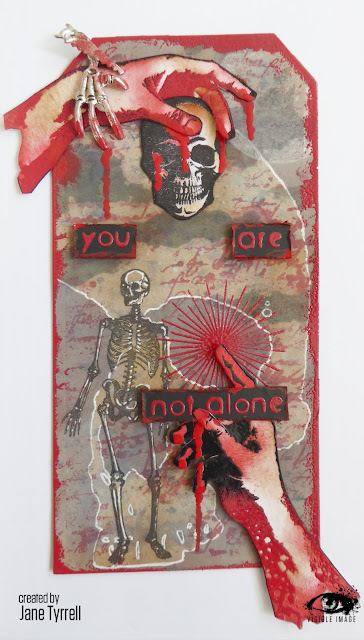 On a piece of card I cut off the background, I blended a little red ink at the top, to tie all the colours together. 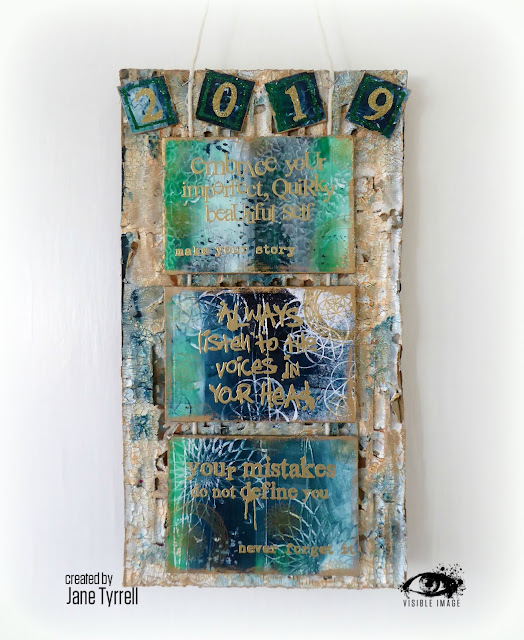 I stamped the main fish with versamark, and used black embossing powder to make it glossy, I also added the bubbles and the sentiment in the same way. I coloured the fish in with a yellow water colour, then used a white pigment pen to highlight it. 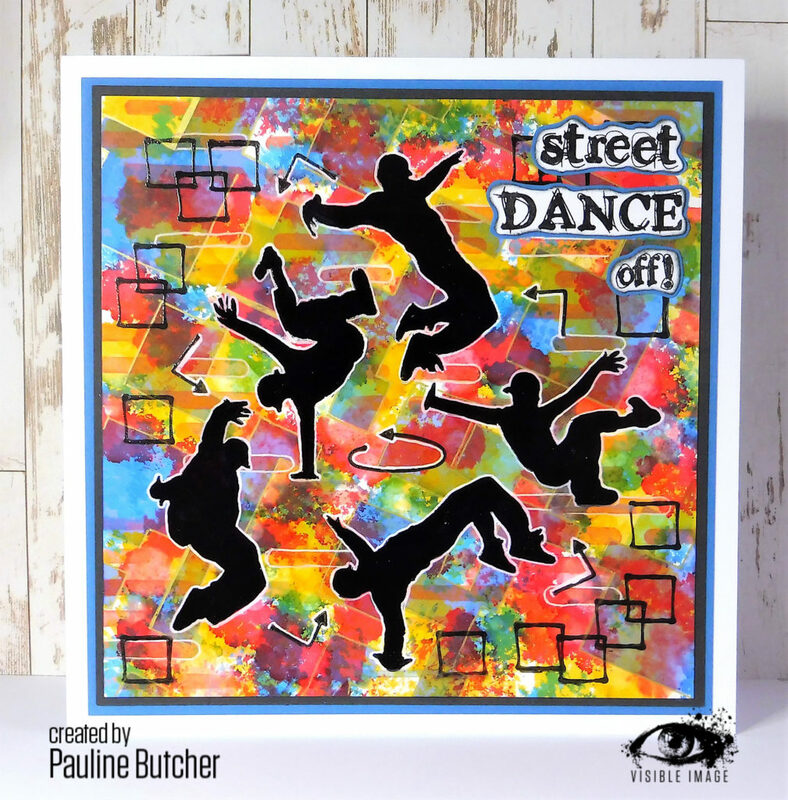 We will be back later with more gorgeous inspiration from Pauline and other members of our awesome team! 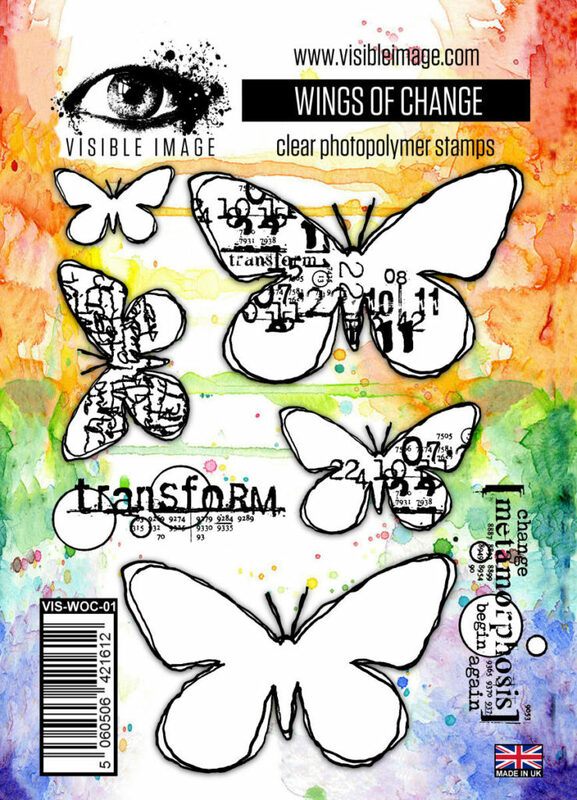 When I saw the new ‘Wings of Change’ stamp set, I knew that a winter butterfly card would be just right for me to showcase them on. 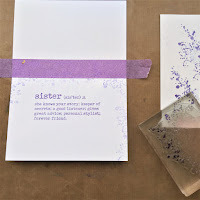 I smooshed Wilted Violet, Mermaid Lagoon, and Pumice Stone distress oxides onto watercolour card to made a wintry water colour background.. In these photos you should be able to see the icy glittery wings I gave them using a spectrum noir clear glitter pen. To add depth, I placed some foam fixers under some of the wings too.. 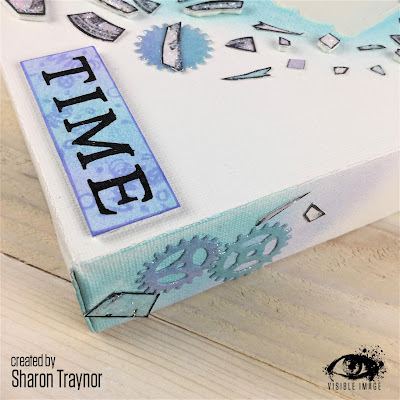 The next project I am sharing is something very different, featuring another set from the new mixed media stamp release…. stay tuned! Thanks for stopping by, and for your very kind and supportive comments you take the time to leave me. 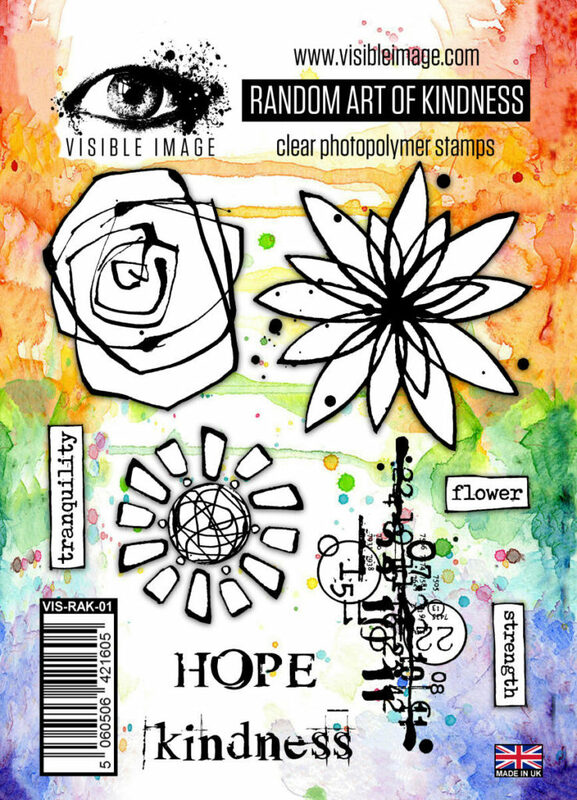 We will be back a little later with a striking card from Sharon featuring more of our new flower stamps! 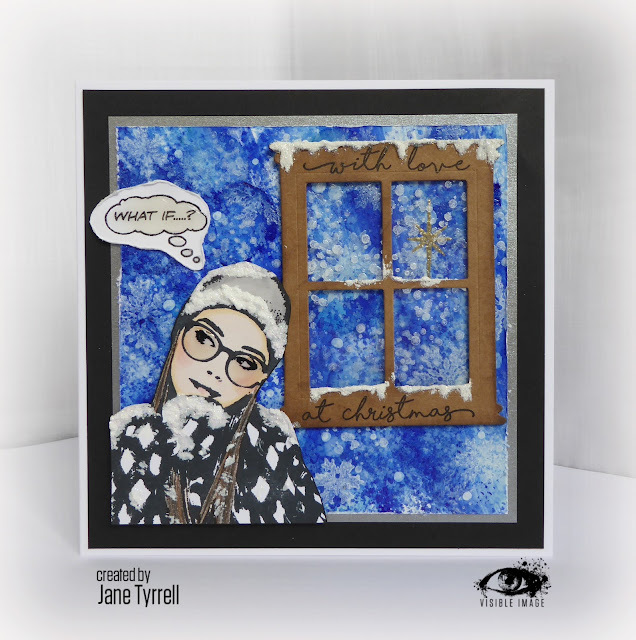 It is time for me to share my first Design Team card for Visible Image using their brand new awesome mixed media stamps. 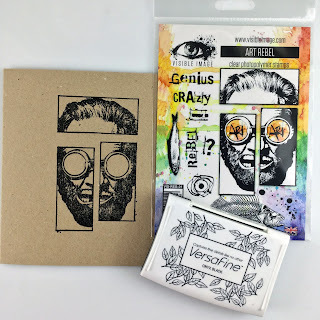 Every single one of the 6 sets in the release have so much to offer our creativity! 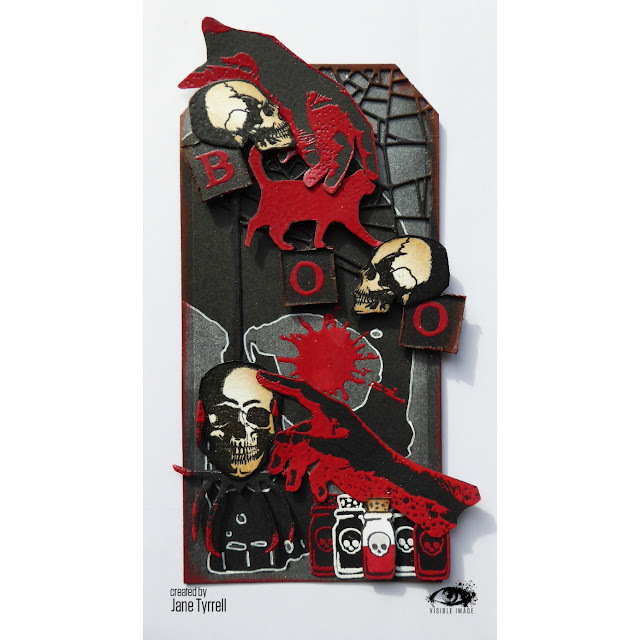 This is the set I have worked with for my first card today.. it is just brilliant. The sunshine here made me reach for my sunny palette. 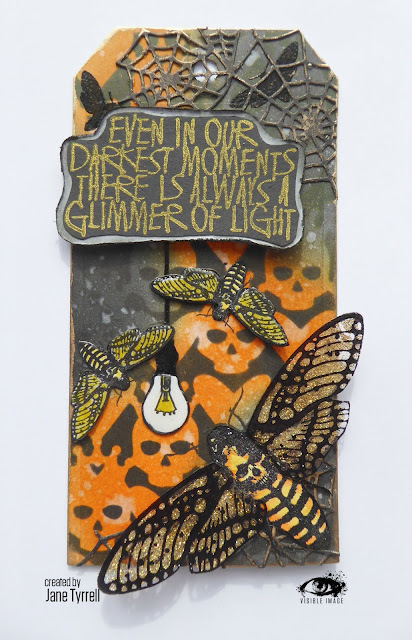 The sun was streaming in on the day I made it I was so inspired to use happy yellow and orange distress inks, despite the frost on the ground. 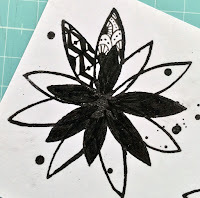 I also got out my much used Tale of 2 cities book, and used some pages to stamp the larger inky flower stamp on to. 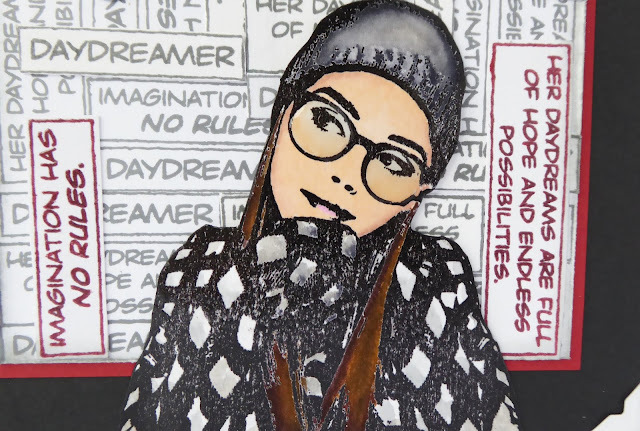 I fussy cut out one of the images. 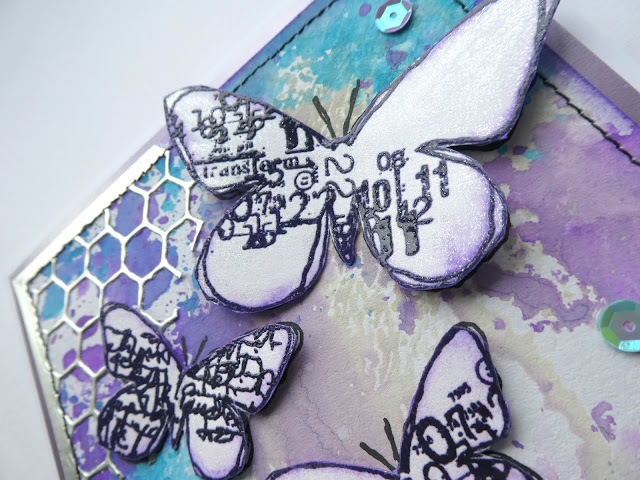 I also stamped the image onto the card front and added some edging using the fab DNA stamp. 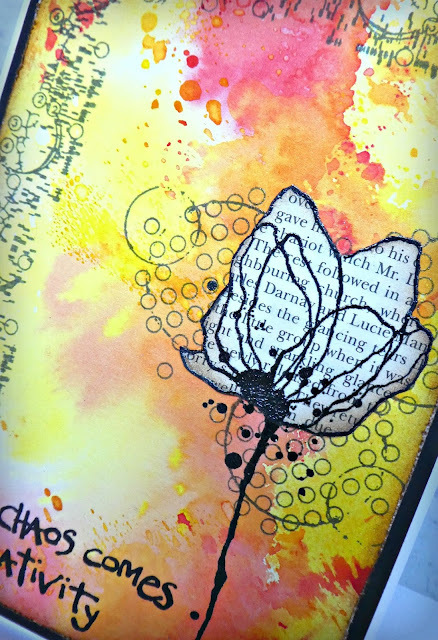 with a close up of the gorgeous inky flower stamp.. When I design my cards I often work on a sample first which I use to test out placement etc… most are kept for a reference and not mounted up. 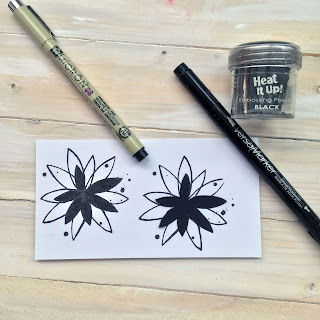 However when I was making my flower card I actually rather liked the sample version too so I thought that I would also share it to show how well these stamps work in any colour way.. 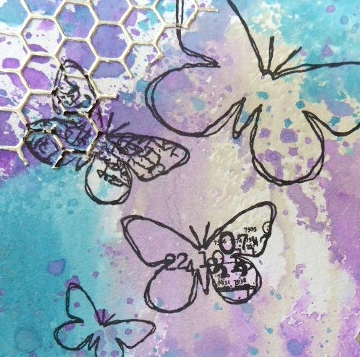 I have also been working with the new butterfly set, so will be back to share my card a little later. 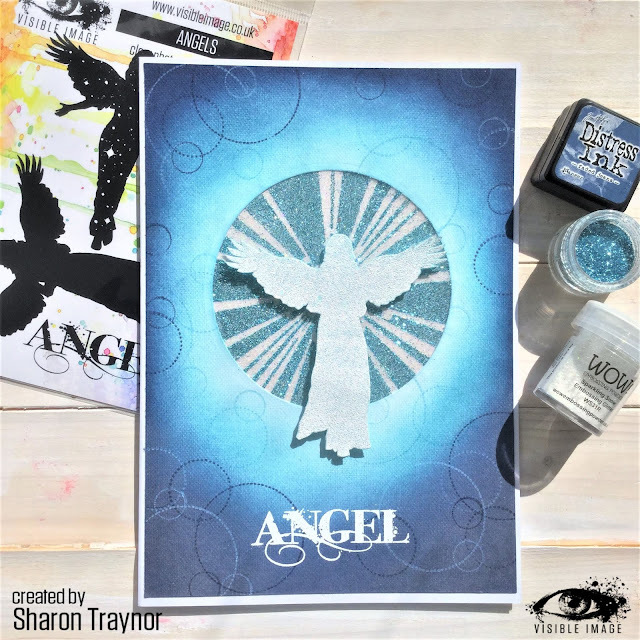 We will be back later with Jane’s beautiful card featuring our new ‘Wings of Change’ stamp set. 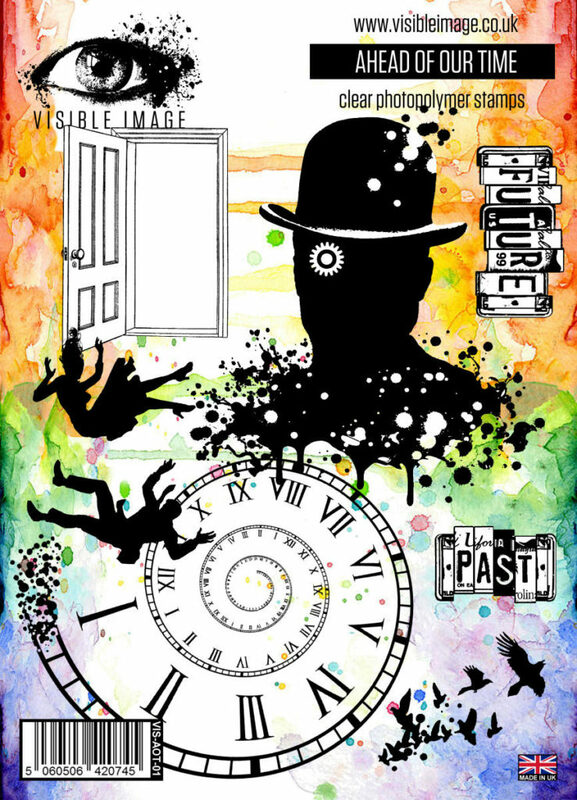 Make sure you sign up to our Newsletter to ensure you are first to see all our new designs, and to receive special discount codes from time to time! 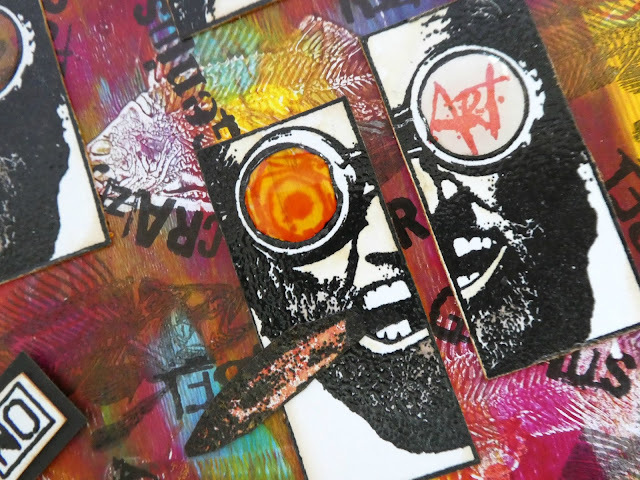 Thanks for visiting us here on the Visible Image blog today. 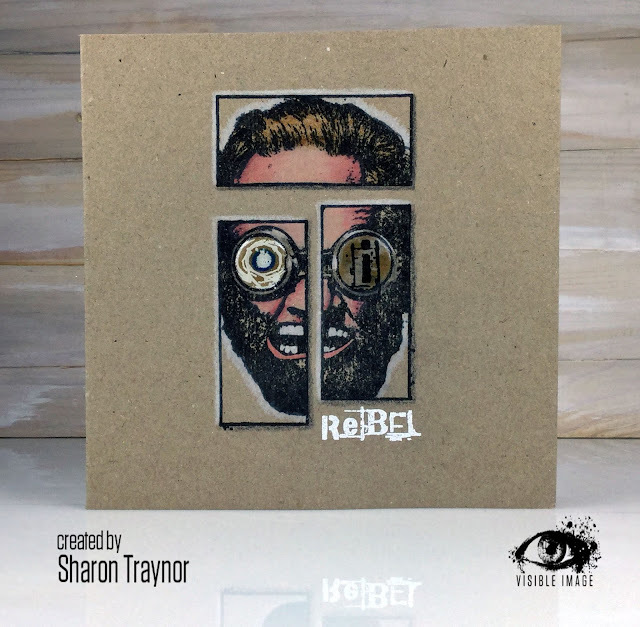 This weekend we are sharing some of the very first projects created with our February release! 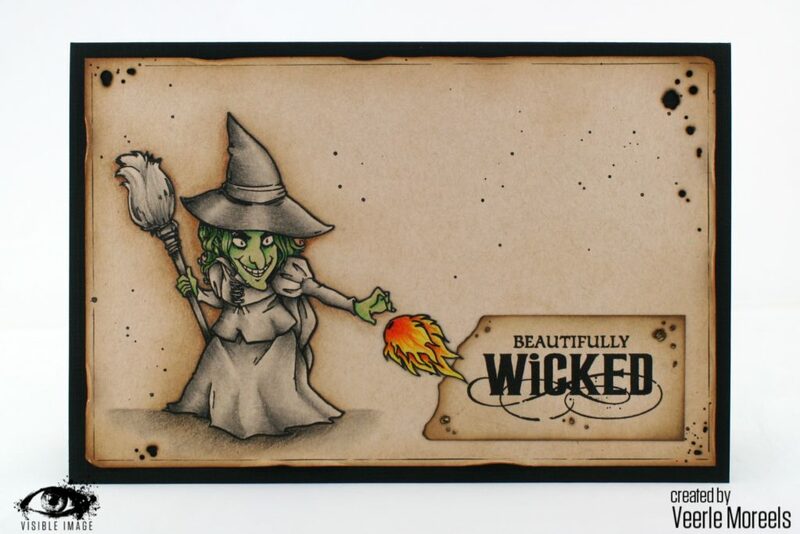 We are kicking off with the Wonderful Wizard of OZ.. not only have we re-released our OZ stamps (with a whole new look!) 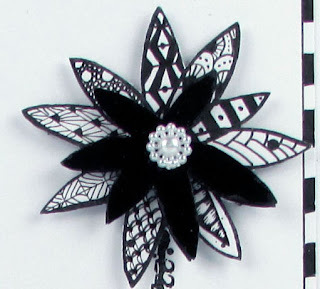 but we have launched our very first co-ordinating dies! How exciting is that?! Haven’t they done an incredible job! 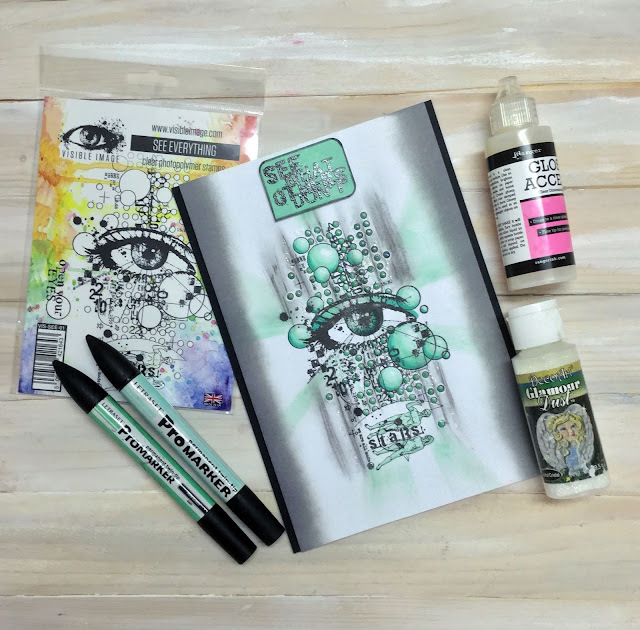 There are lots more amazing samples to come, along with Facebook LIVE’s and YouTube videos! 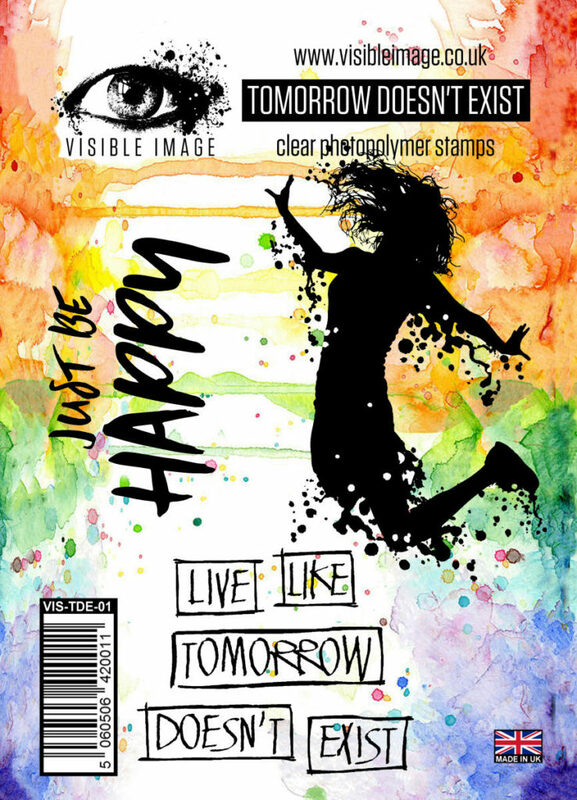 Available for immediate dispatch, so you will be inking them up before you know it! 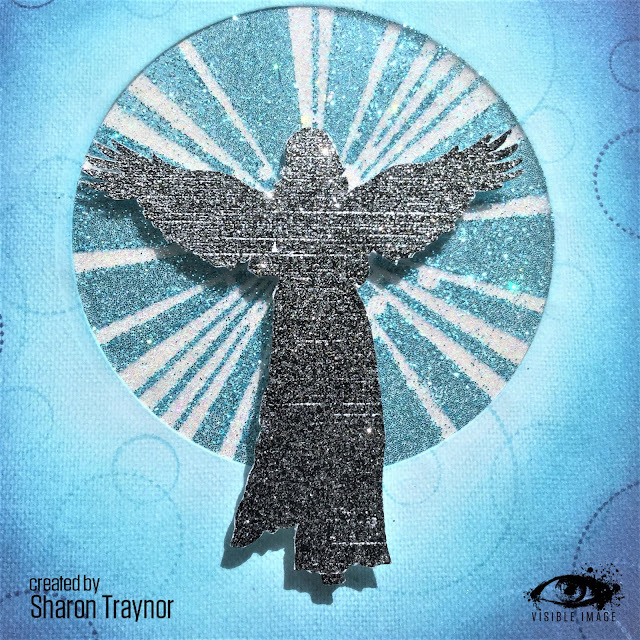 We will be back soon showcasing some of the very first cards and projects created with our new mixed media stamps! You are going to LOVE them! 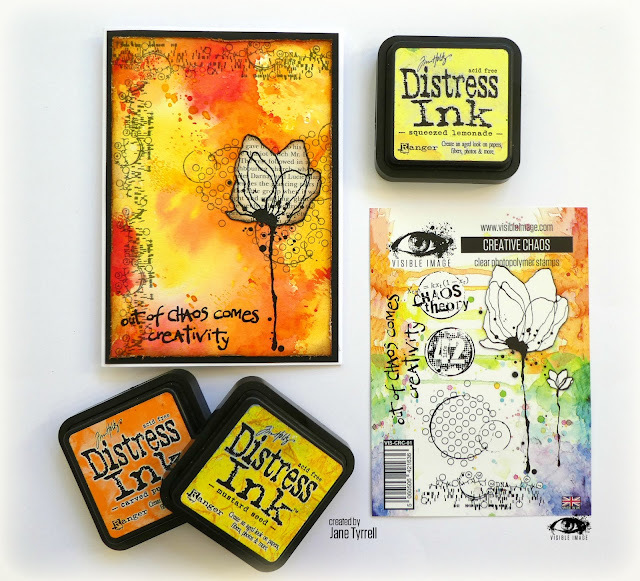 Have you ever had a happy accident with your inks and stamps? 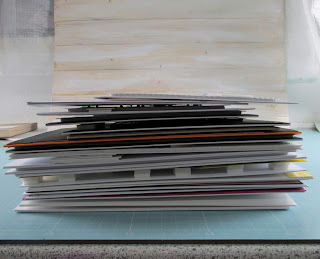 I admit that most of my accidents are very far from happy and mainly involve dropped ink pads or smudged fingerprints. 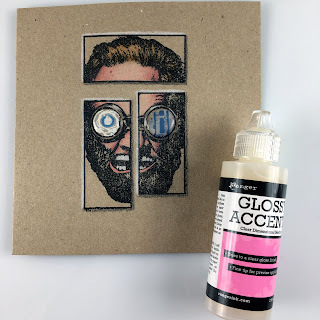 However my venture into the different ways to mirror stamp resulted in something I didn’t expect, but absolutely loved… and the bonus is that it is repeatable. Happy days! 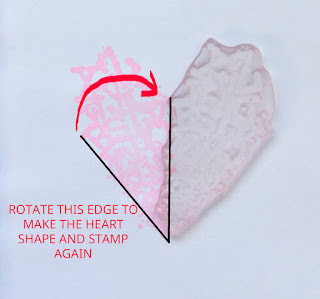 This isn’t the ‘kiss stamping’ method (because I use the back of the large stamp), and I know that stamping on the back of a stamp to produce a mirror image is not a new technique either, but what I think is ‘new’ is the way I let the stamps peel apart to make those patterns. I made a little video (2 mins 48 seconds long) showing how I achieved this look, because it is sometimes easier to see how to do things rather than explain in words, but there is also a photo and text ‘how to’ below this video link. 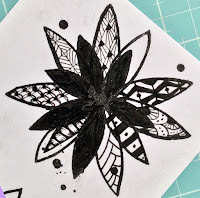 Doesn’t that ink look all textured/patterned, and it also matches the impression on the image of splashed and moving water. The beautiful head silhouette from the Visible Image ‘No Space For Dreams’ set (one of my favourite sets!) 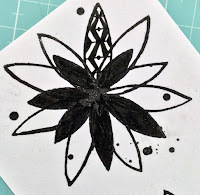 and mirror image stamping have been in my head for a while now, so I’m glad I that it worked out so well. 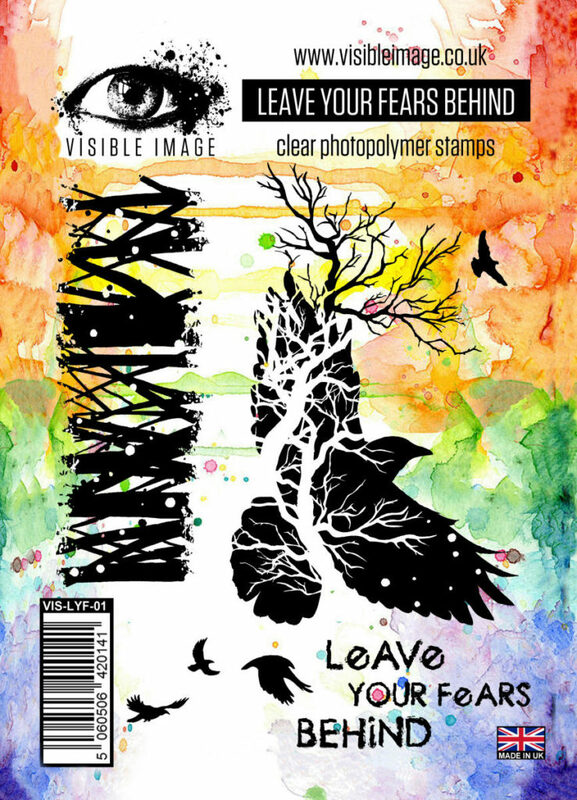 The method used here is to take a large stamp, stamp your image onto the back of the large stamp and then take a print onto paper or card. 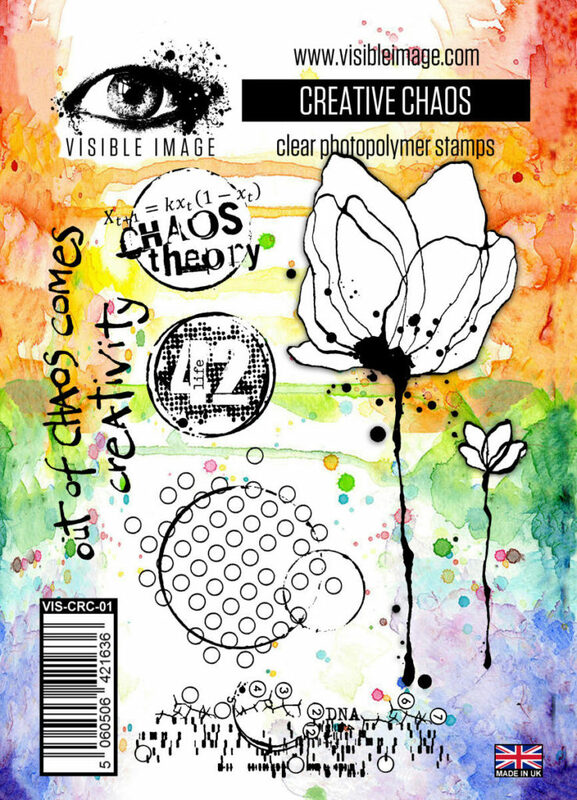 TIP Use a large stamp with lots of detail on it because stamps with open areas do not work well at all. 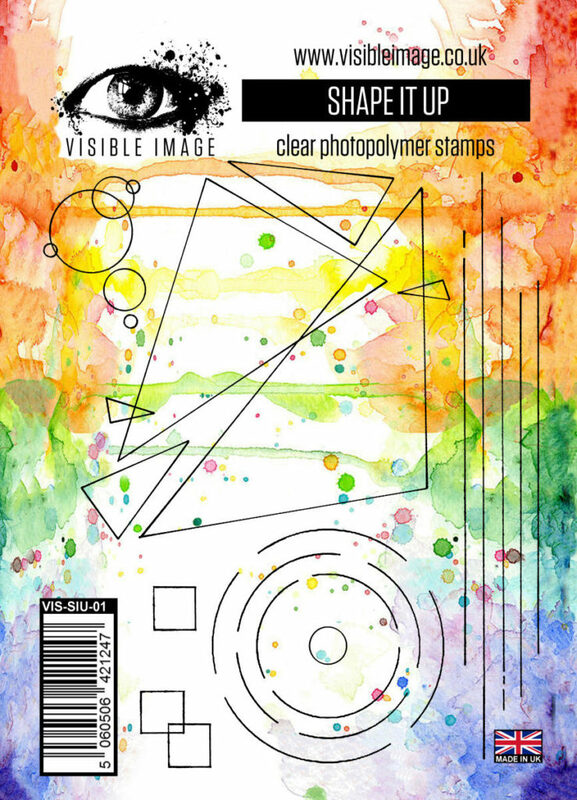 (I used the large Visible Image Organics stamp). 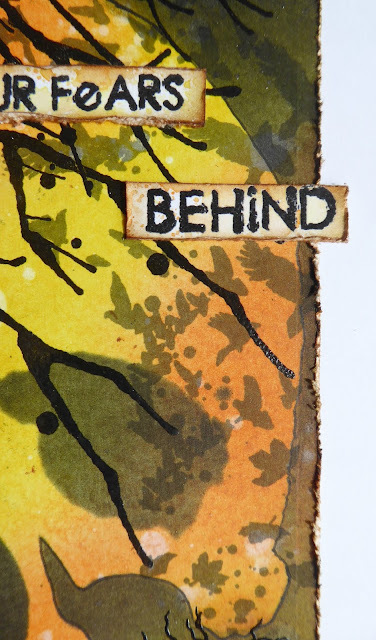 So, first of all I lined up the profile silhouette stamp in my misti and attached it to the door. 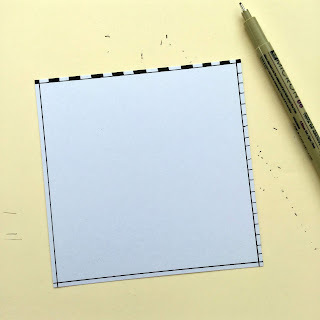 Then I placed the large stamp face down onto the grid paper in the Misti i.e. 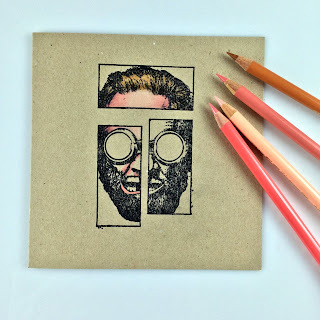 the detail of the stamp was in contact with the grid paper and the flat back of the stamp was facing up. 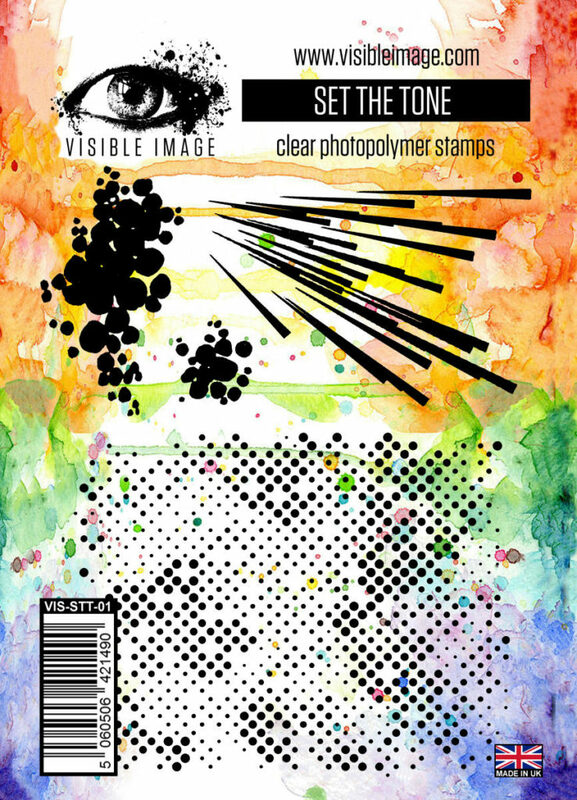 I should say that the grid paper inside the misti has been laminated and that means that photopolymer stamps will slightly cling to it so they won’t move. 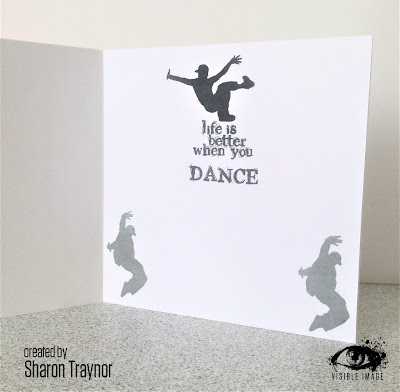 Next the silhouette stamp was inked up and I closed the misti door and pressed down as you would normally. 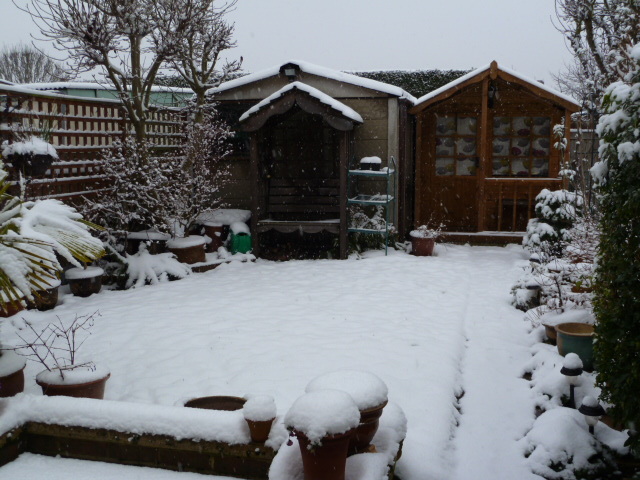 Now comes the magic…. just let the two stamps peel apart on their own and don’t touch anything until they have done that. 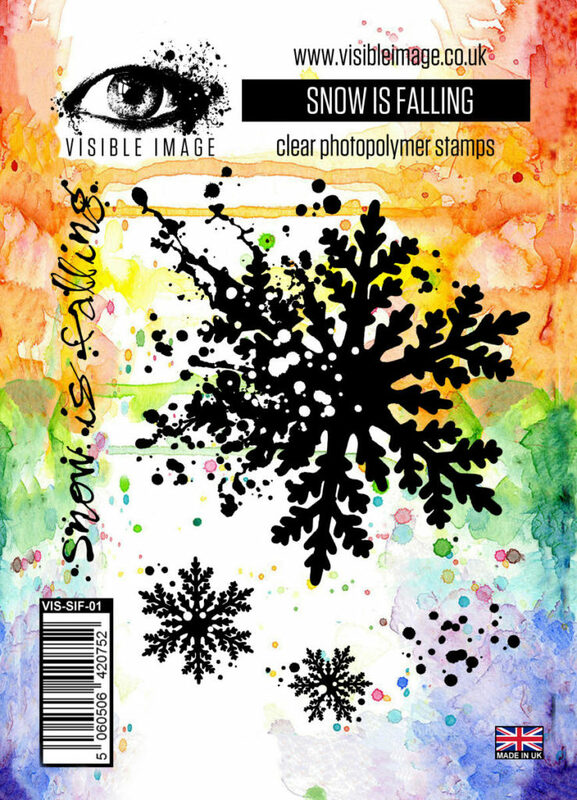 As the stamps do peel apart on their own, the ink pools and created the big splodge (for want of a better word) and all the little threadlike veins. 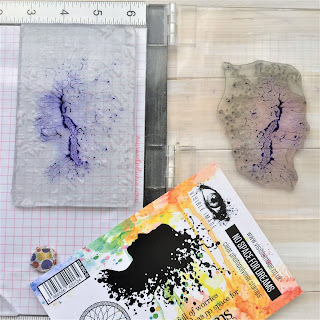 You can see from the photo that both the stamped image and the actual stamp have the same pools and veins. Fab! 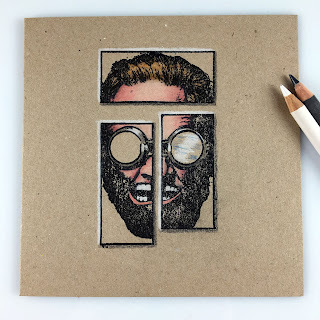 Now, leave the head silhouette in the door because you will use that in a moment. 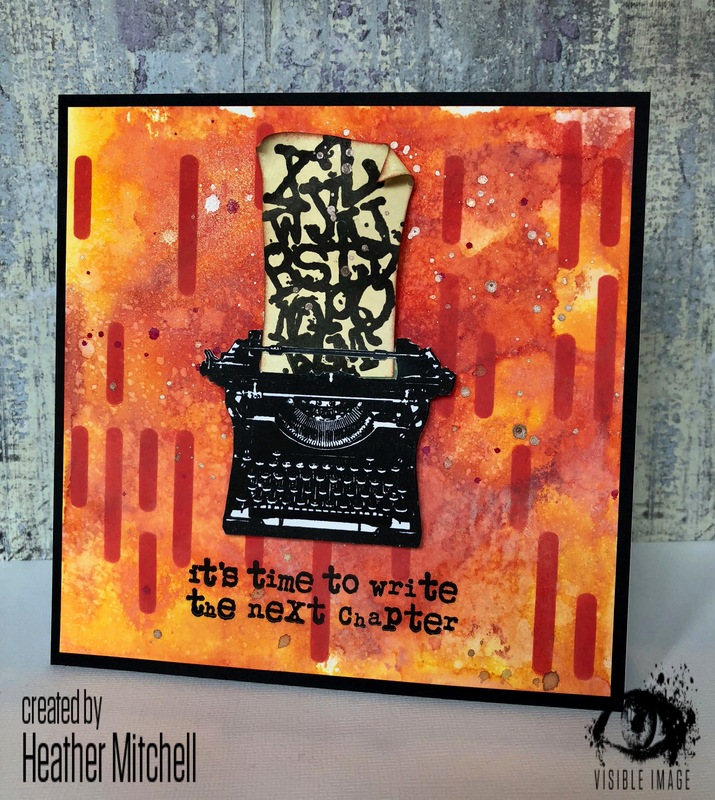 But before that, take your piece of card and press it firmly on top of the large stamp using your fingers or even a brayer – making sure not to move the card! When you peel the card away you have your mirror image ready. 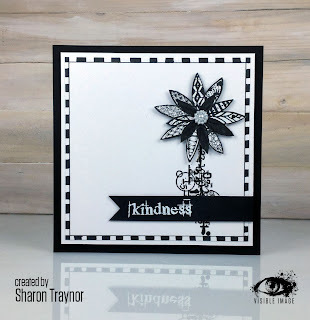 Next, remove the large stamp from the Misti and place your card back in with the stamped silhouette facing upwards, then close the Misti door so that the ‘normal’ image stamps. 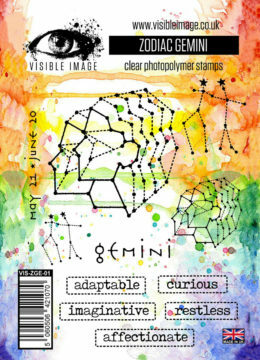 My first ‘happy accident’ went into the picture frame and I added a stamped ‘Gemini’ as a label. 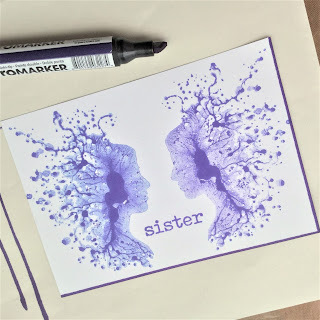 But to finish the card front I cut it down to size, stamped the word ‘Sister’ between the two faces and edged it with a promarker. 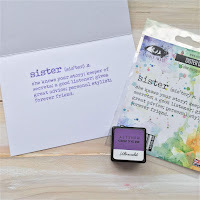 On the inside I stamped the full sister sentiment. 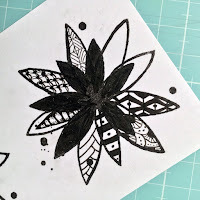 Then the area above the crease was masked and the splashes around the outside edges of the face stamp was used to create a loose border (with second generation ink). Thanks for stopping by and I really hope to see you again soon. 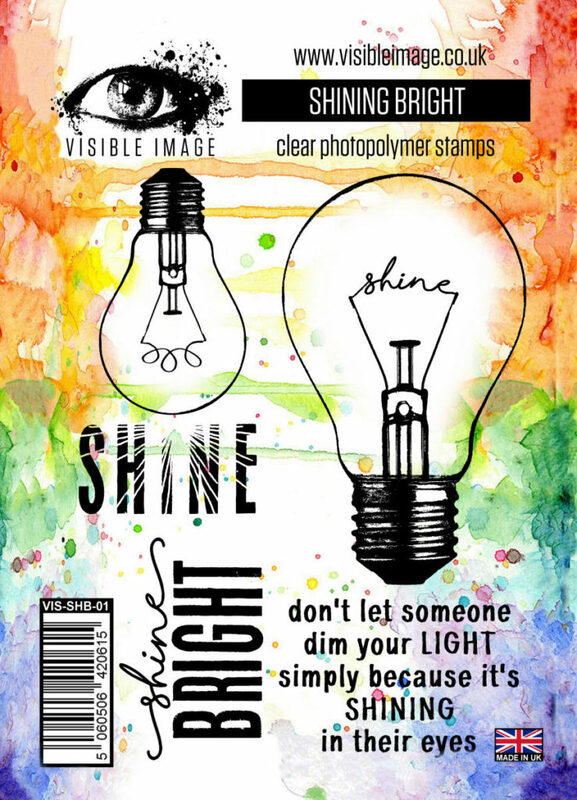 Our challenge theme for November over in the Visible Image Facebook group is “Make it Sparkle” so this was a perfect for Daisy’s card. There is nothing a 5 year old girl loves more than sparkle and glitter. I first white embossed the unicorn stamp onto watercolour card. To go along with her rainbow unicorn party theme I decided to use all the colours of the rainbow to make the background. 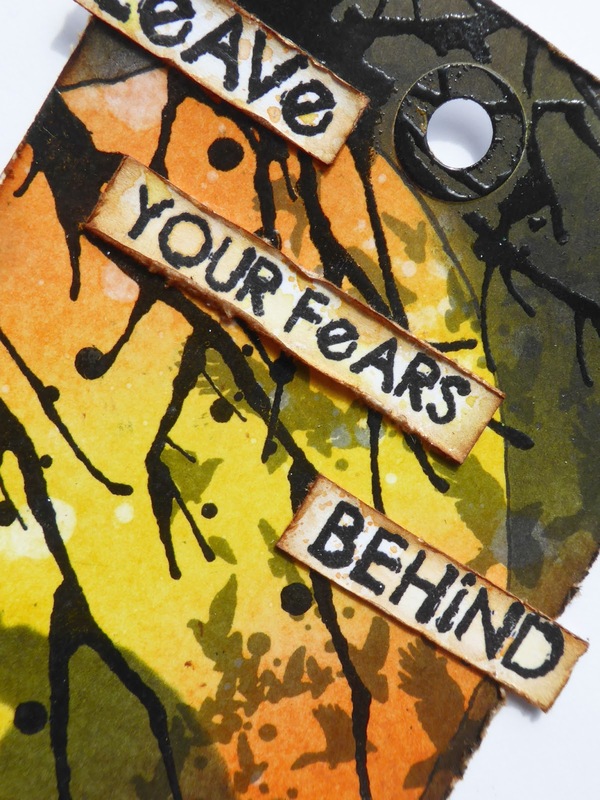 I chose 7 from my Distress inks and starting at the top and working clockwise I blended them onto the card. These numbers are a perfect size for birthday cards. 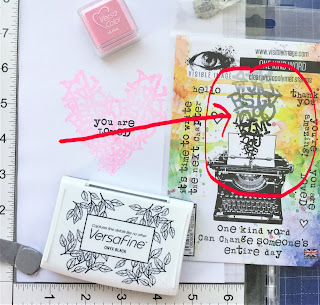 I also used the Happy Birthday sentiment from the Go to Words set. I then die cut a swirling star background around the unicorn. I matted this onto pink glitter card. Believe me every 5 year old girl like lots of glitter! I also made her a quick tag for her present too; this photo does not do justice to the black sparkly embossing powder I used, it really glints.. 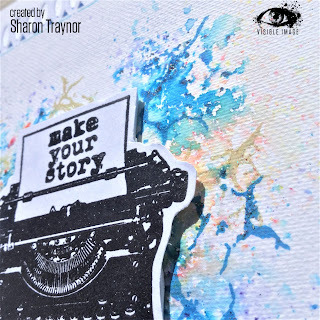 Remember to add your “sparkle projects” to the Facebook group album! Thanks for stopping by today, if I’m honest I don’t think it’s just Daisy who believes in unicorns, you can count me in too……how about you 😂? 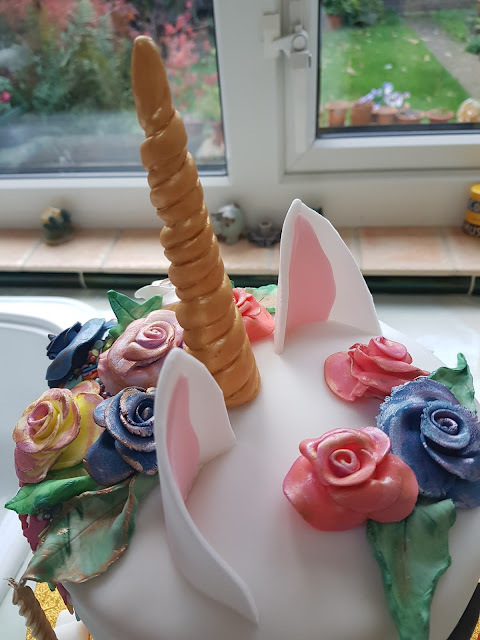 I made her a unicorn birthday cake too..
Jane this has to be THE perfect Birthday card for any 5 year old girl! 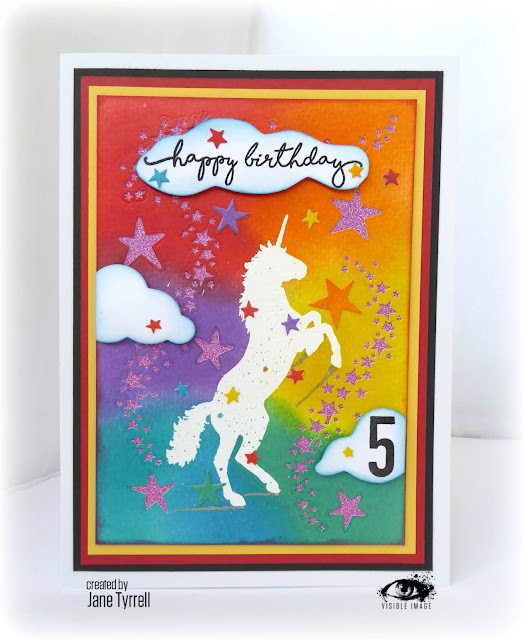 Our Unicorn stamp looks fabulous embossed in white against those rainbow colours.. absolutely gorgeous! Thank you ♡ Your cake was incredible too!! 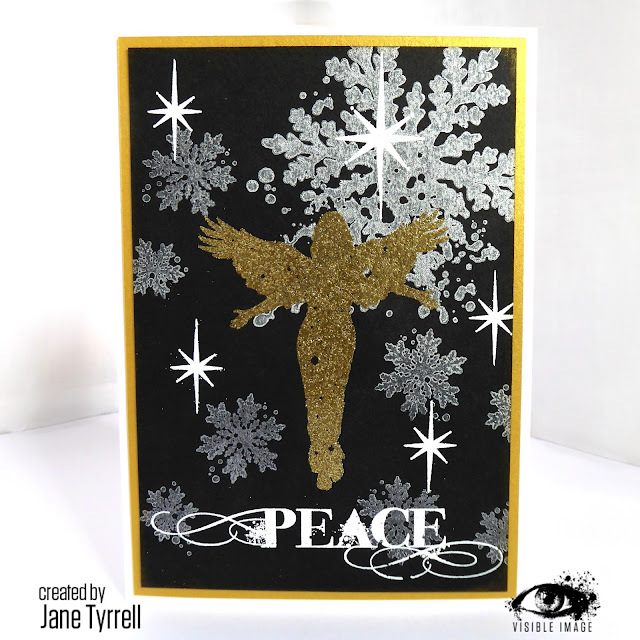 We will be back later with a beautiful Christmas card from Jane featuring our Angel and Snowflake stamps. 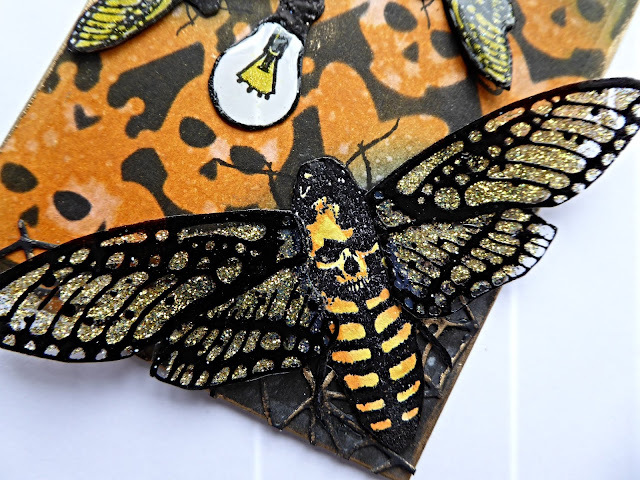 This week there has been spooky goings on in my craft room. 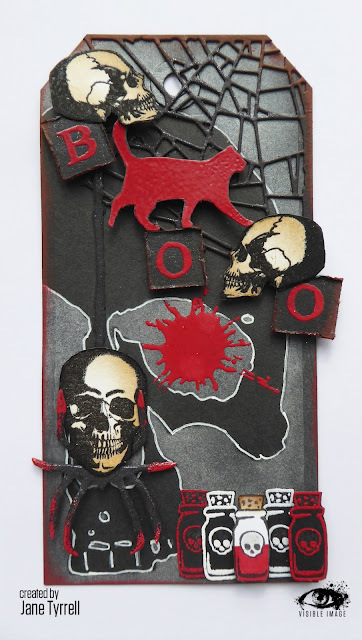 As Halloween is here, I’ve made a scary card using a couple of the awesome Visible Image Stencils, just to show that you can use a stencil for a foreground image. I placed the Dark Hearts stencil, onto a piece of white card, and went through it with some black embossing paste using a palette knife, I removed the stencil, then added some sparkly black embossing powder to the wet paste, and heated it up using a heat tool, I added some colour to this, using a brush, and some Decoart liquid acrylics, making a watery wash, over the embossing. 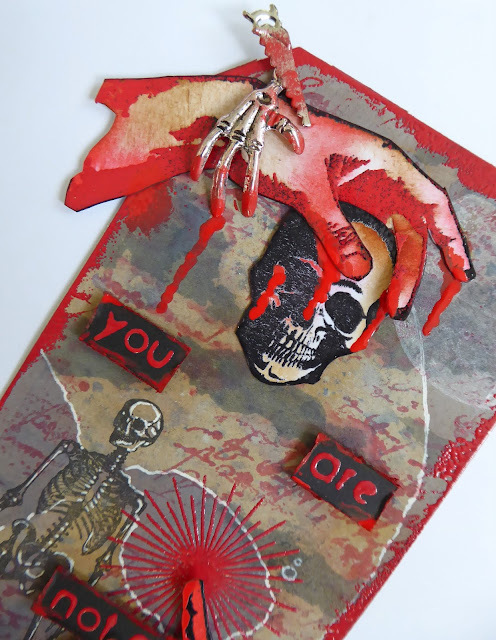 I then made drips of thick red paint, to look like blood, ohhhhh how gory !!!! 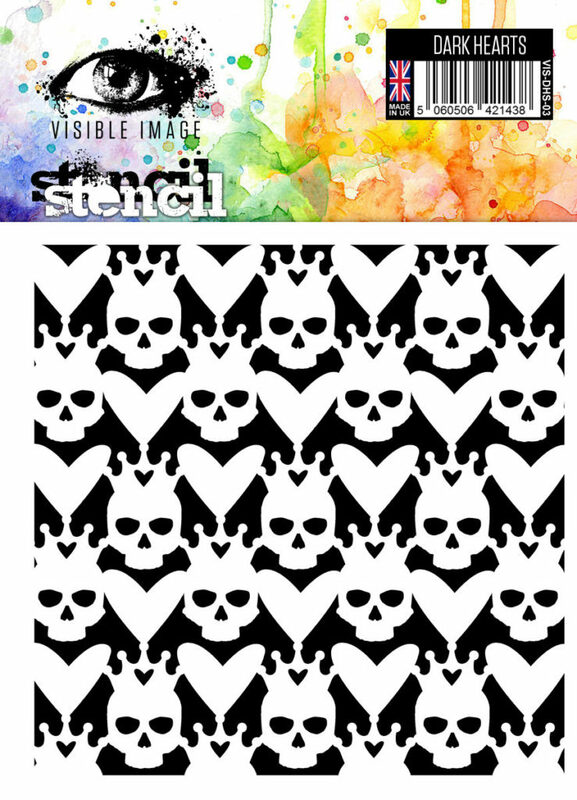 Taking the Skull Shadow stencil, and a piece of white card, I traced the main image, and fussy cut it. Using the Pentart Crackle, which is a two part crackle, I coated the skull with a thin layer of the primer, and dried with my heat tool, I then added a thick layer of the Crackle paste, and again dried it with my heat tool, the crackles are amazing! I used more Decoart liquid acrylic paints, adding water for a light wash, and coloured thee skull, using red around the teeth. 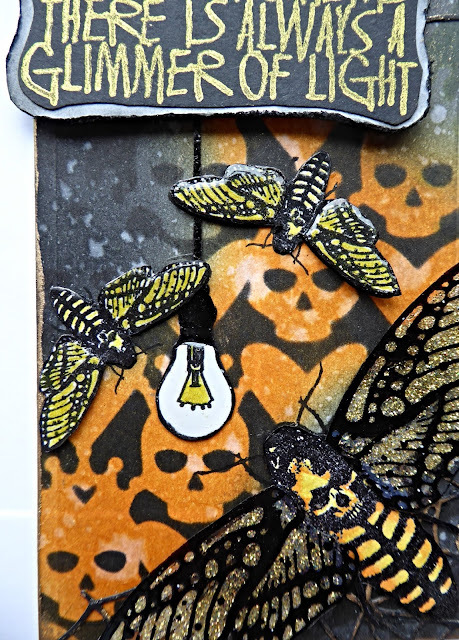 When it was dry, I shaped it, and added it to some black card with 3D glue Gel, then cut around the card, leaving a small border. 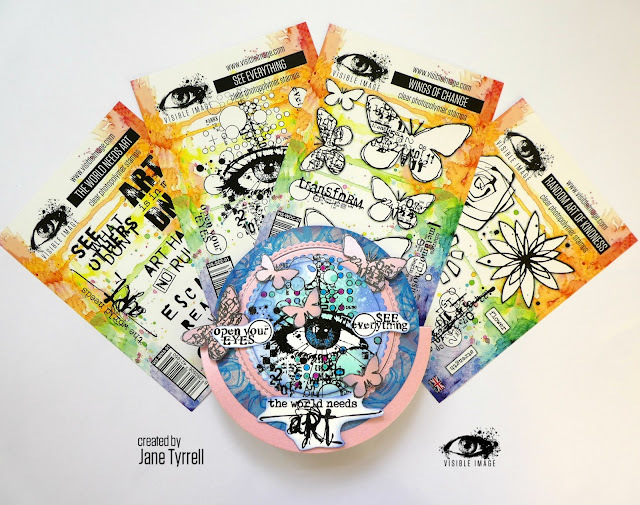 This last photo shows all the dimension, ohhhh and I found an eerie eye in my stash, and added it for a bit of drama!!!!! We will be back tomorrow with more fantastic inspiration. 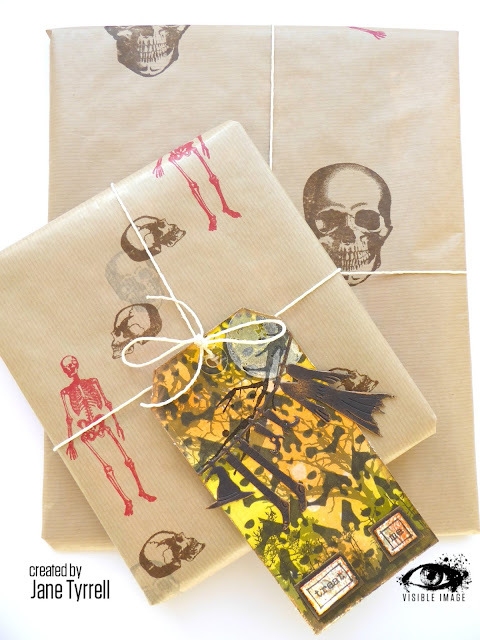 I’m here with a Halloween theme using some of my favourites from Visible Image. 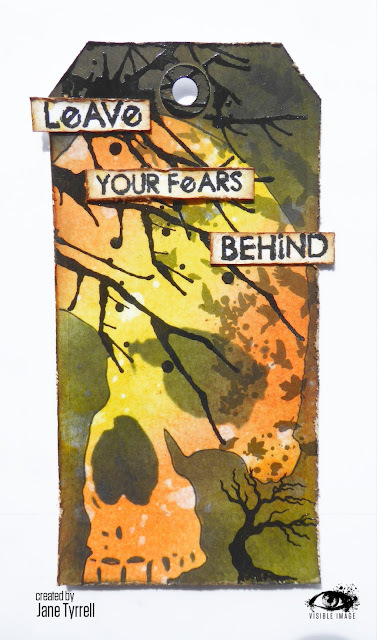 I’ve used alcohol inks on to heavy yupo paper from Ranger. 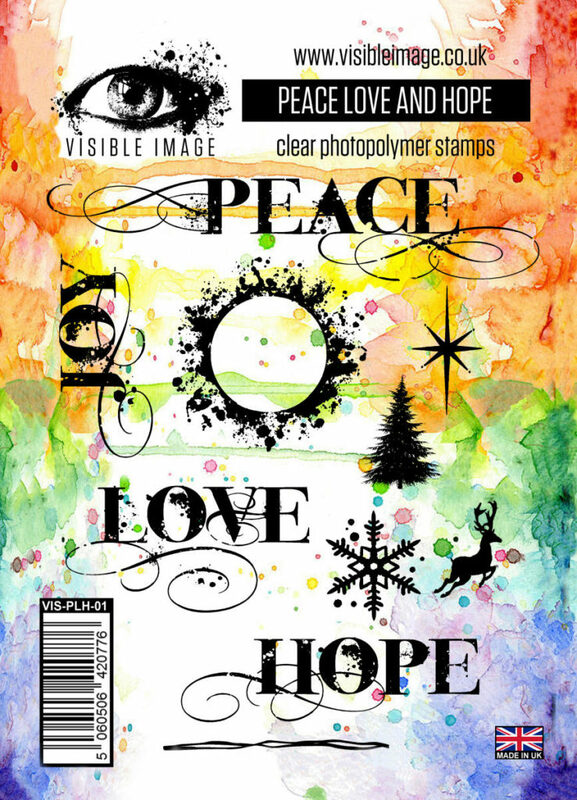 I’ve stamped using Versa fine ink in onyx black. My ink pad isn’t as juicy as it used to be so it works a little better. 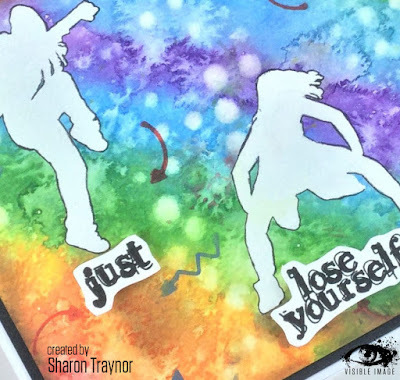 I’ve also continued to use an alcohol blending marker and co ordinating colours of my spectrum noir alcohol markers. These are good for highlighting areas and adding extra colour. I began by laying down the paler colours. 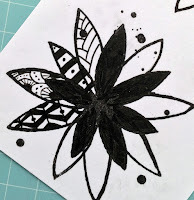 I placed the stencil on top and sponged darker inks through. I also sprayed alcohol in places. It gives a great effect. 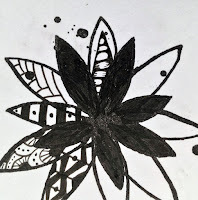 I went over the edges with black and highlighted parts in white. I used the black and white again on the tree along with some a light brown marker. I tried to create reflections at the bottom to a water area. 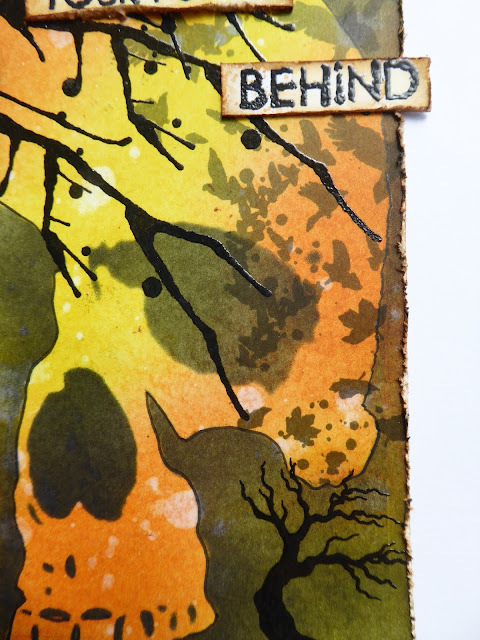 I also used part of the stamp to create extra wooded areas. I love purples and yellow together. 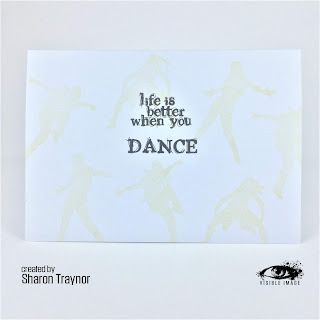 We will be back later with a fabulous card from Sharon Traynor, featuring our gorgeous new Daydreamer stamps. 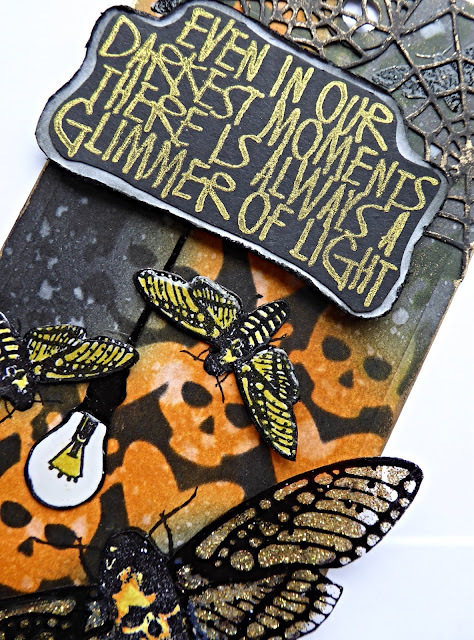 Today I am showcasing another stamp set from the brilliant October release. 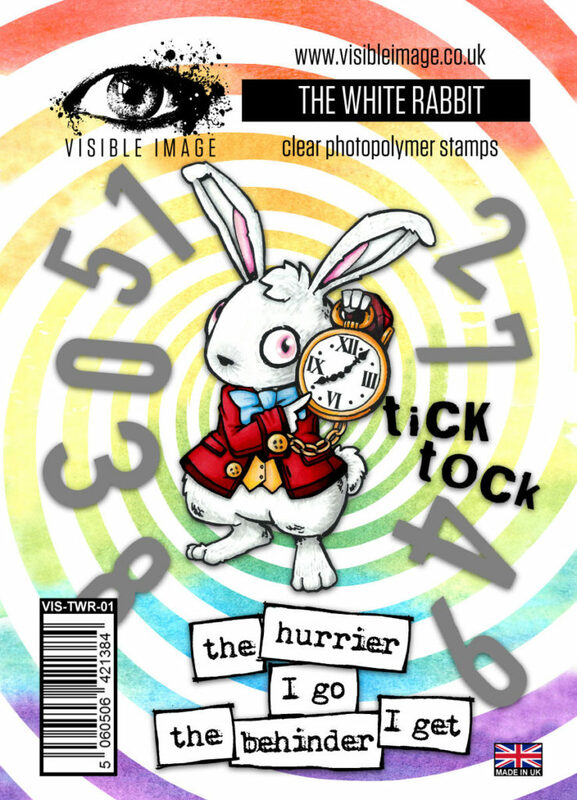 I love the “comic strip/cartoon” feel to this set and I decided to try to capture this in my sample. 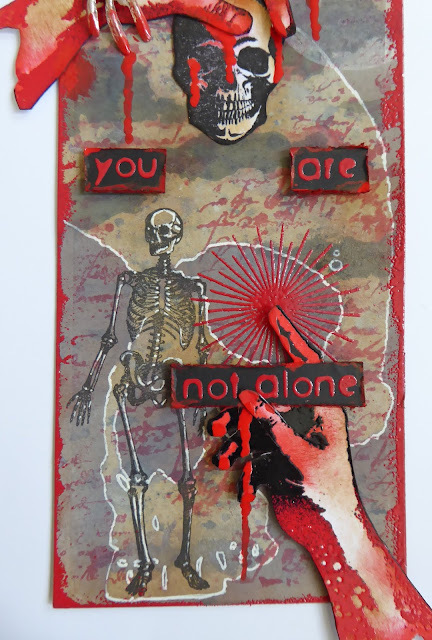 I stamped out the sentiments in a couple of different coloured inks and decided to go with grey, black and red. 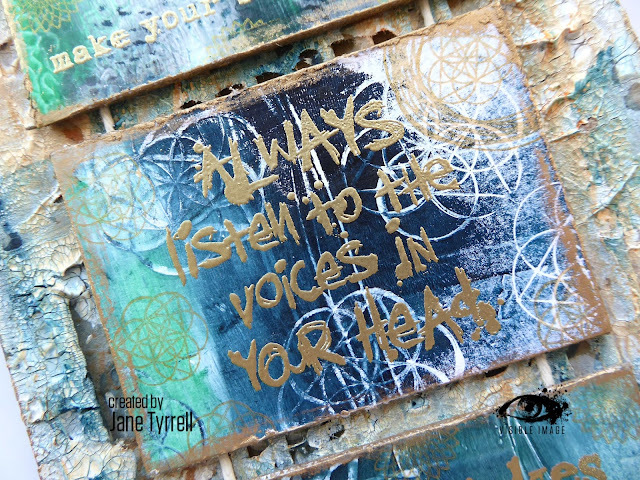 Some I stamped directly onto the card, some I cut out and overlaid. I used 1 red version of each sentiment to stand out. 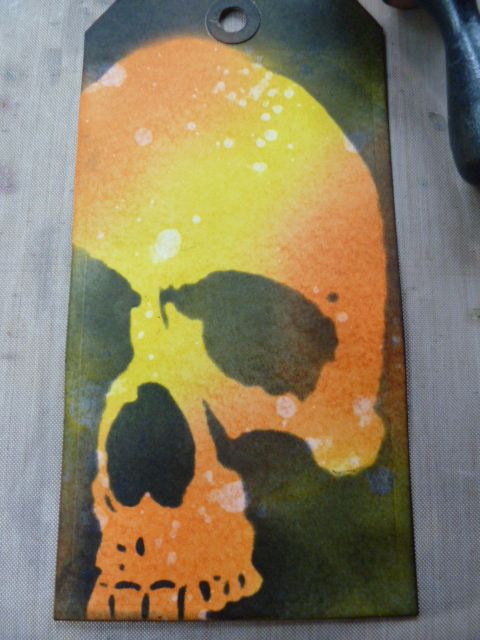 I then distressed the edges and matted it onto red card. 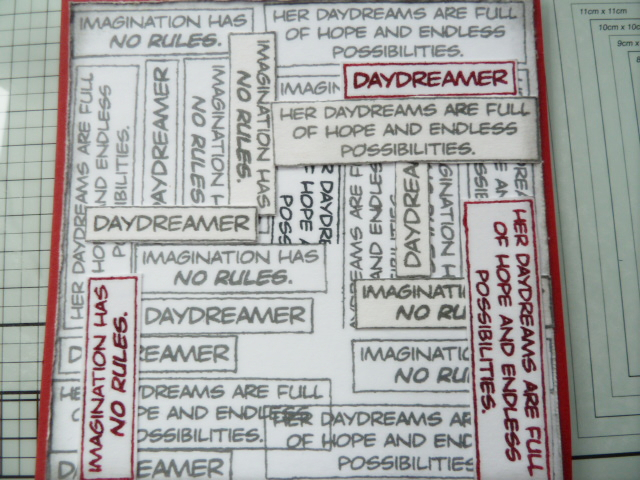 I coloured my Daydreamer in greys using Zig watercolour pens and fussy cut her out. 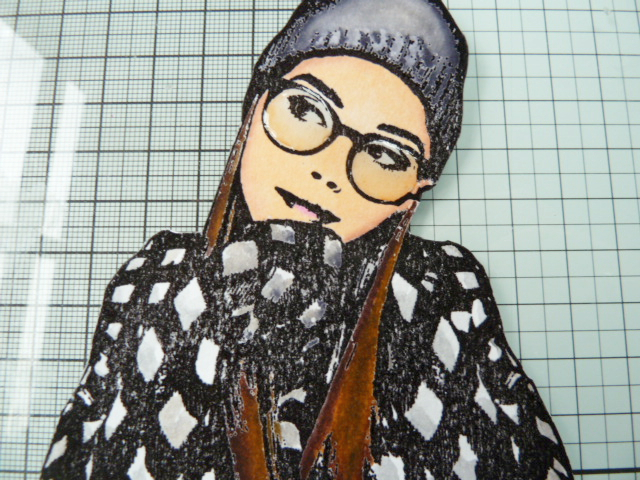 She is a very easy shape to cut, no thin edges to her! 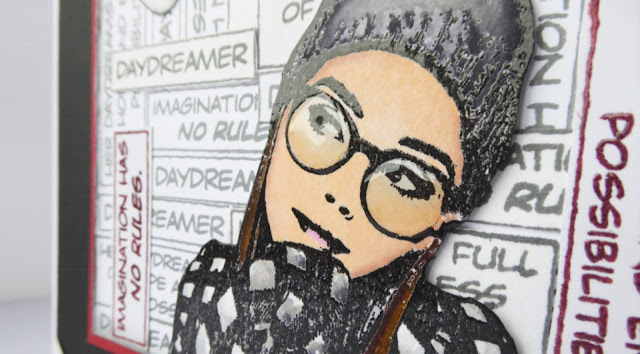 I added glossy accents to her glasses. I also coloured the speech bubble red which I also added glossy accents to. You can see her Glossy Accents glasses more clearly below.. 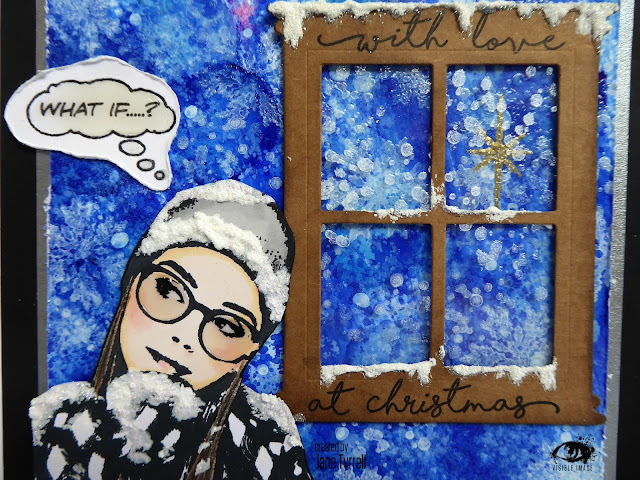 I matted up the card resemble a photo by setting her just outside a “photo frame” complete with photo corners. 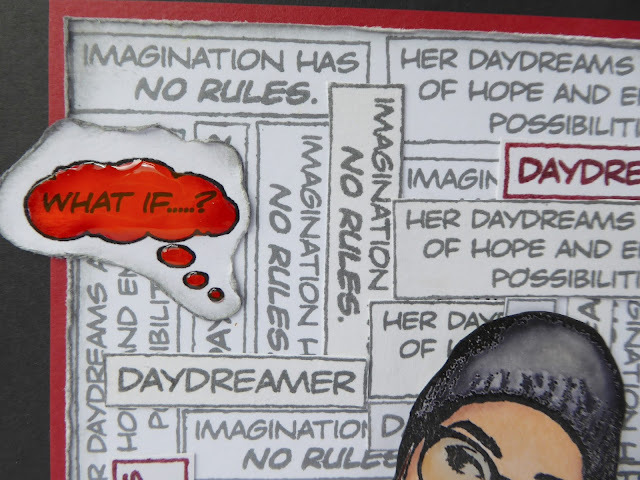 She is lost in her thoughts there but she has some very positive ideas, my kind of girl. 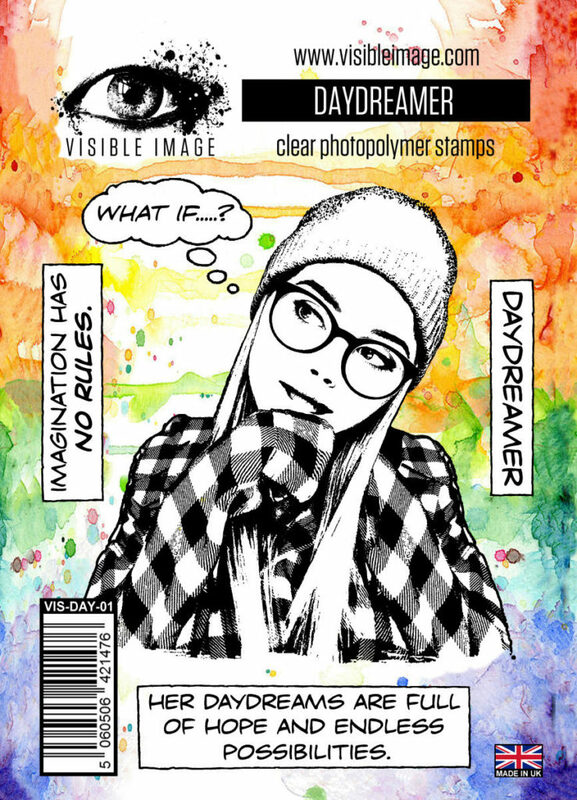 Daydreamer is just one of the amazing 6 new stamp sets, and 3 new stencils. There really is something for everyone in this new release! Thanks for stopping by and for your kind comments you take the time to leave me. 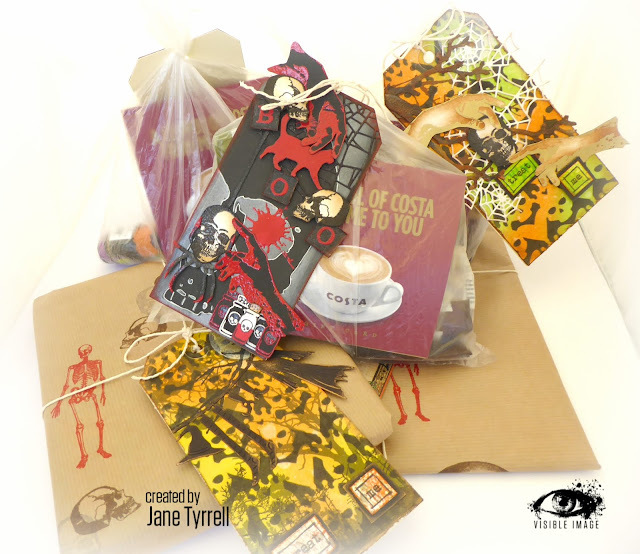 We will be back later this evening with some amazing Halloween inspiration from Jane!